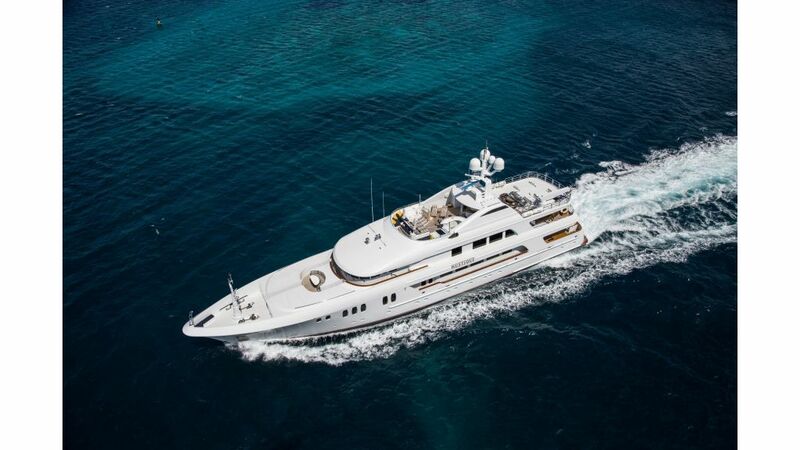 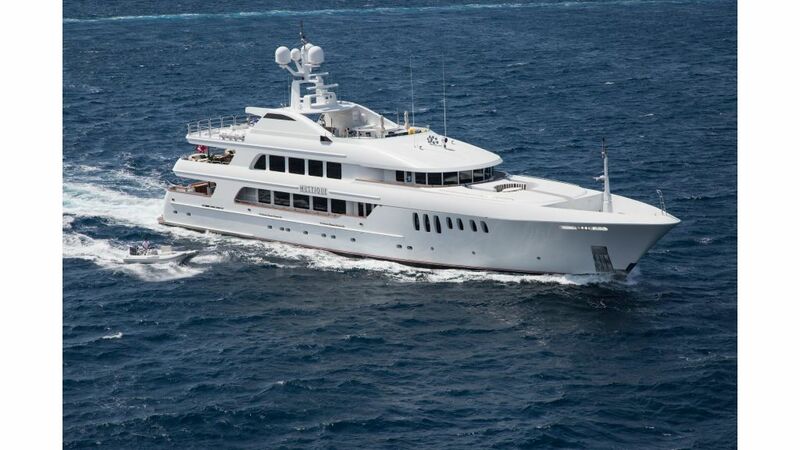 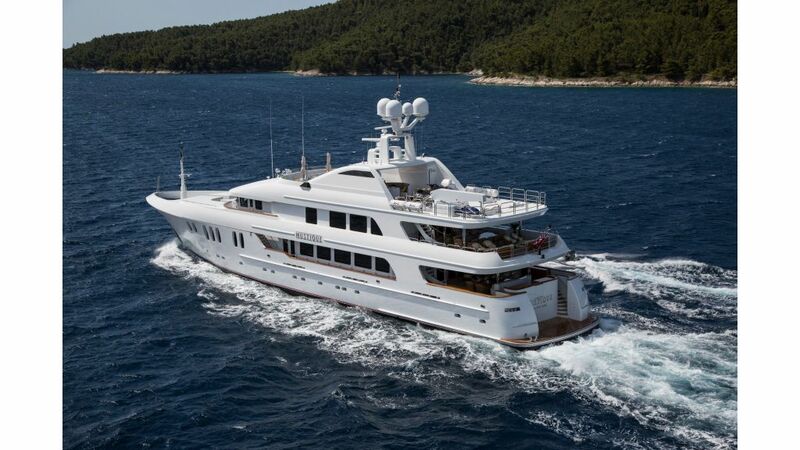 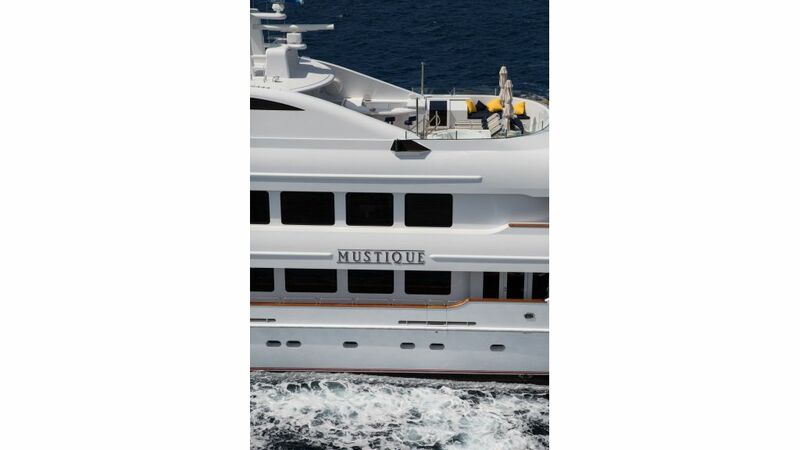 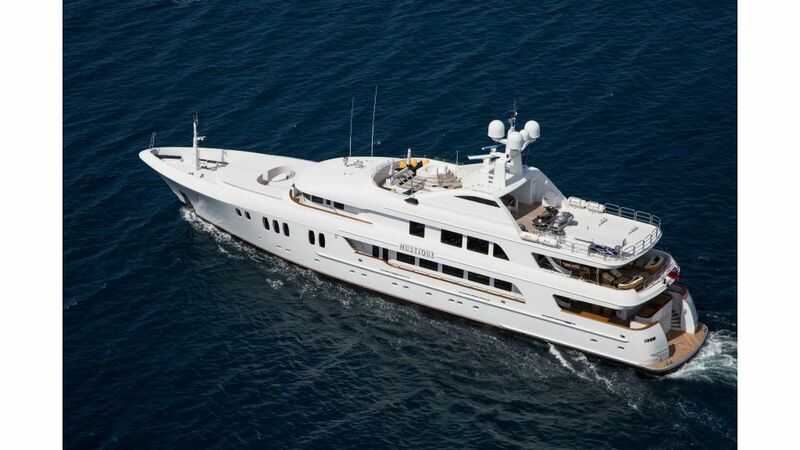 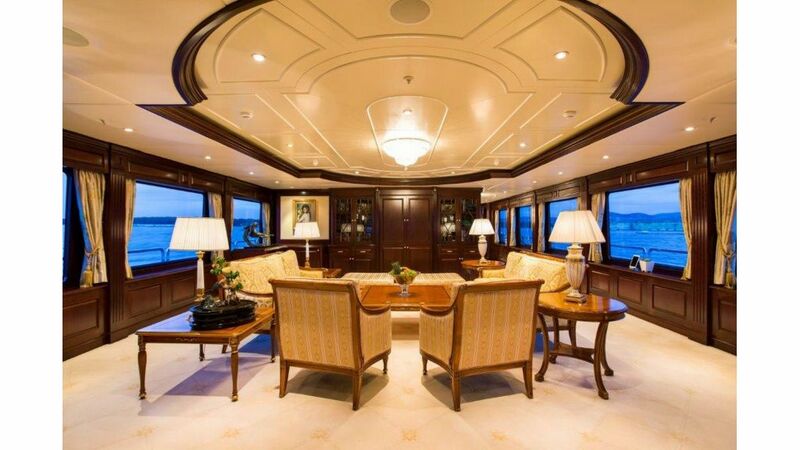 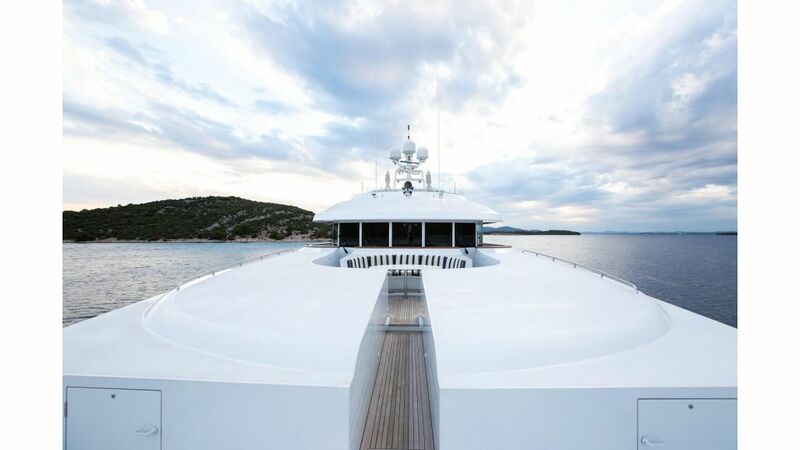 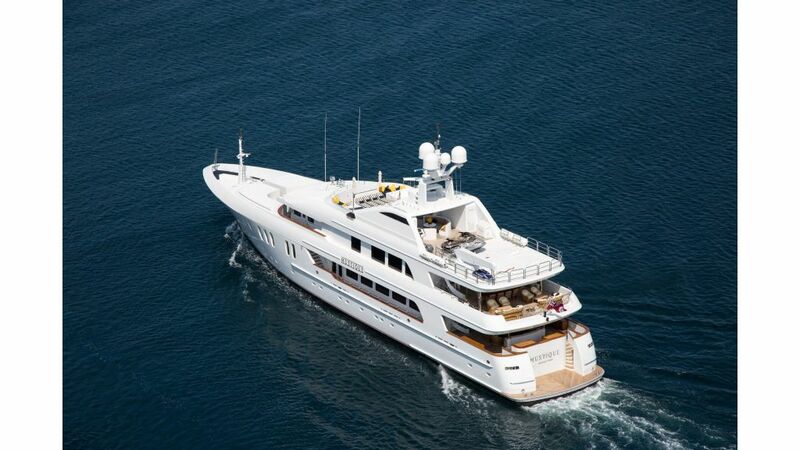 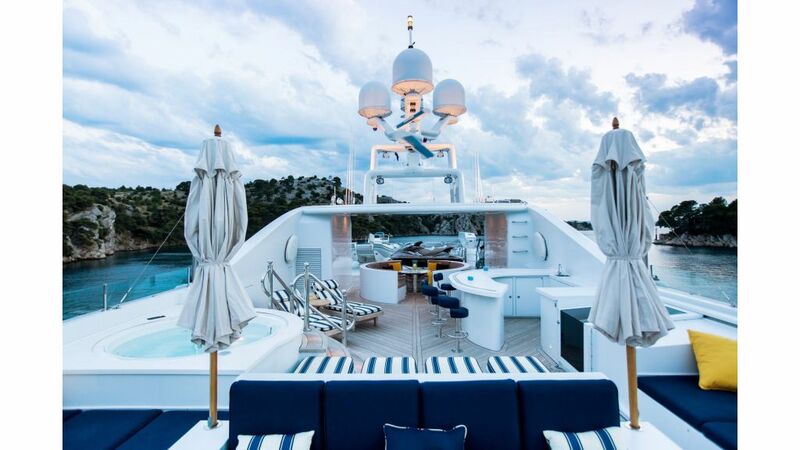 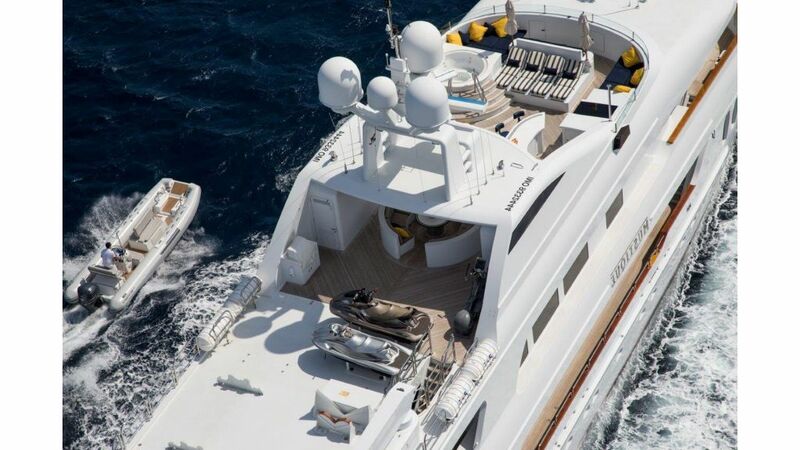 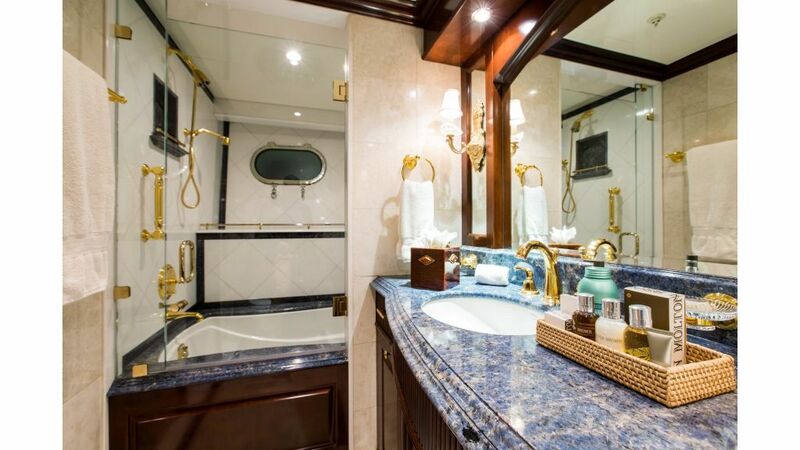 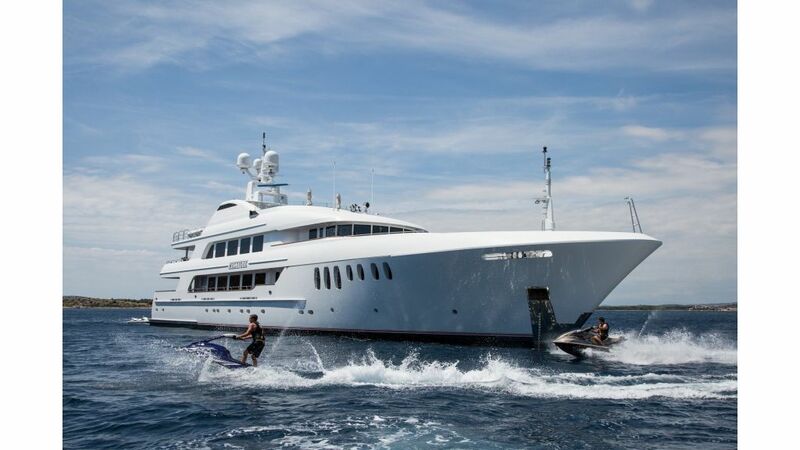 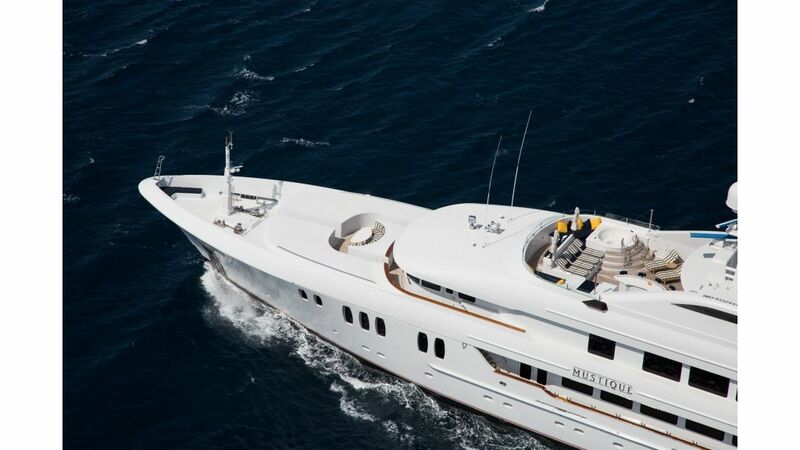 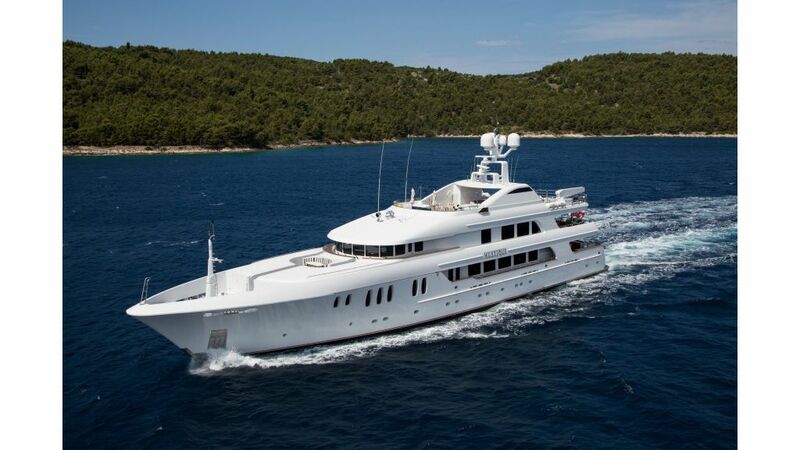 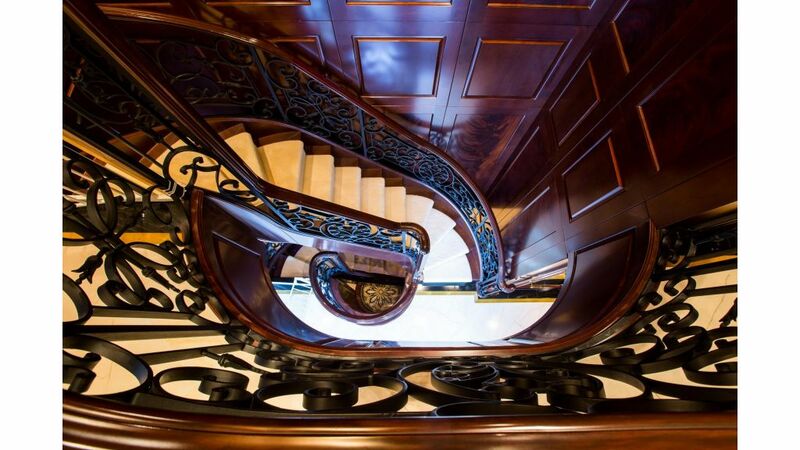 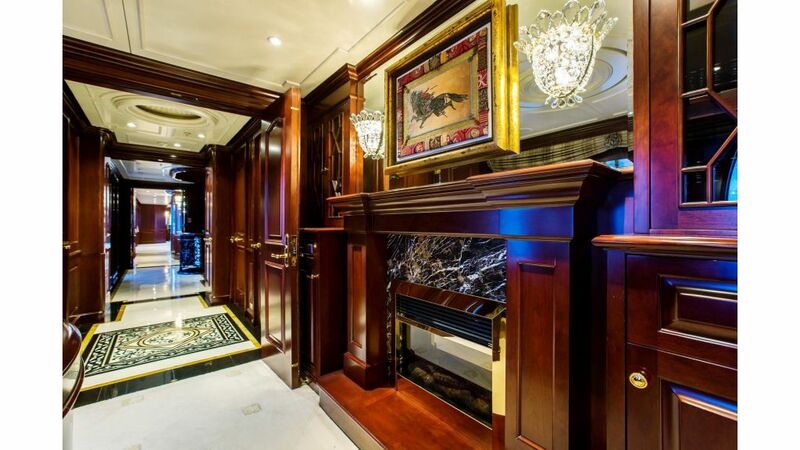 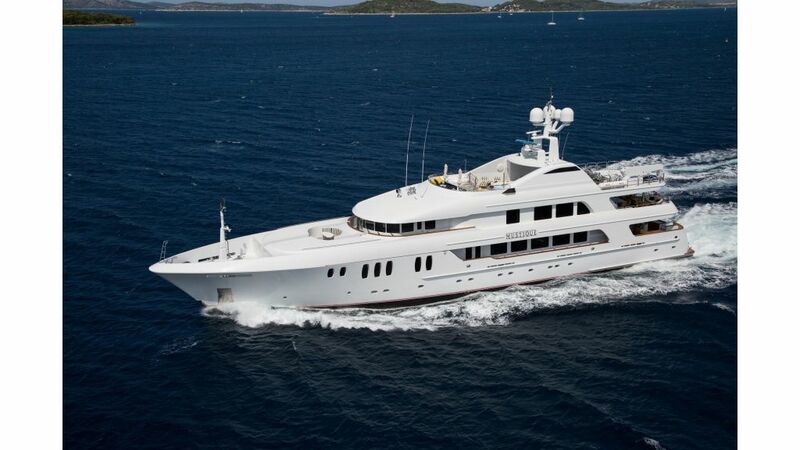 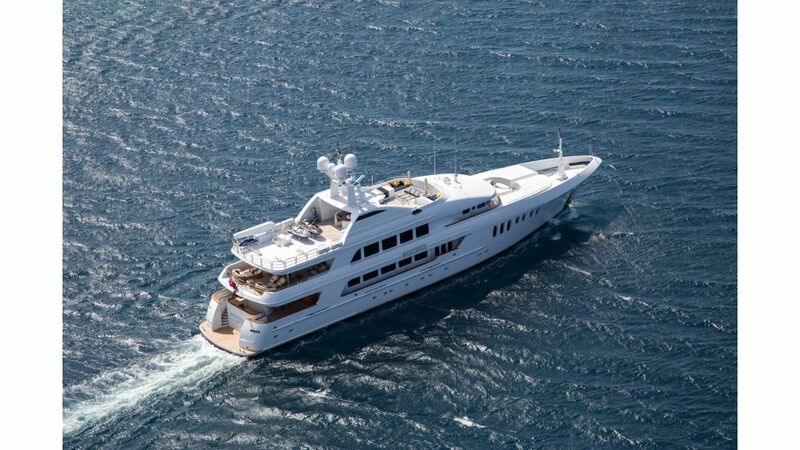 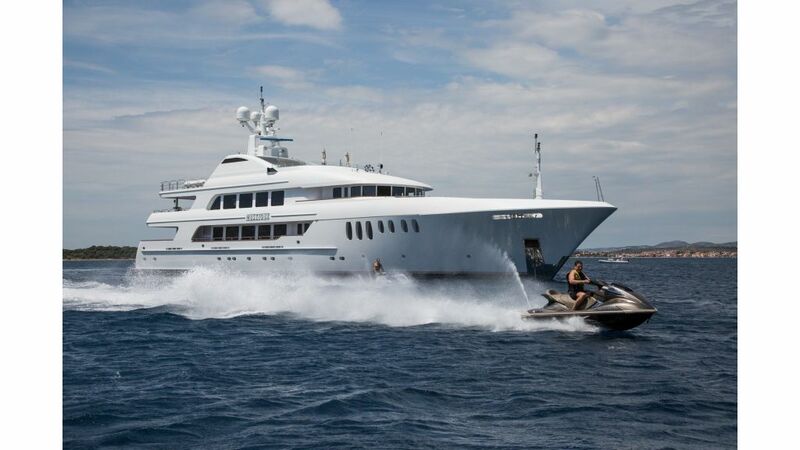 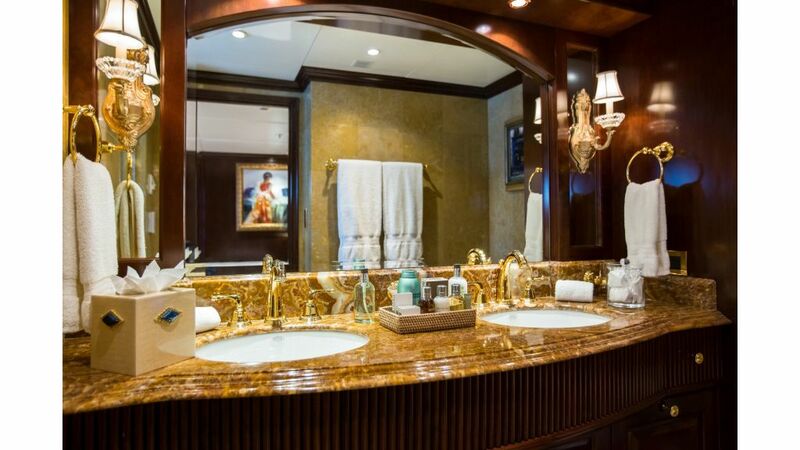 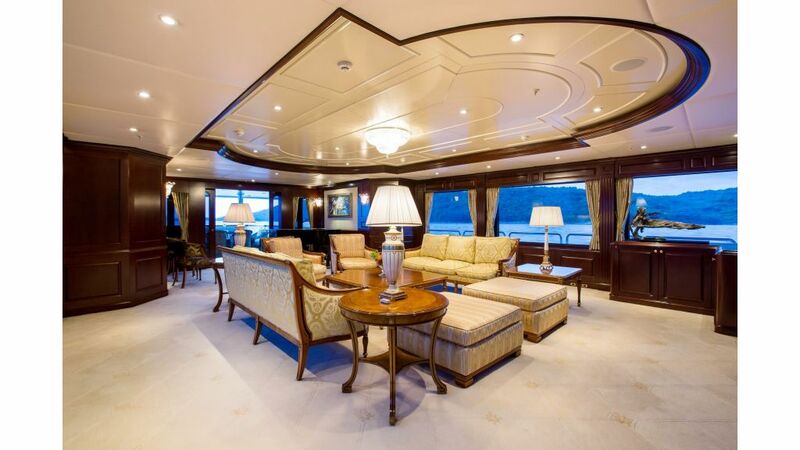 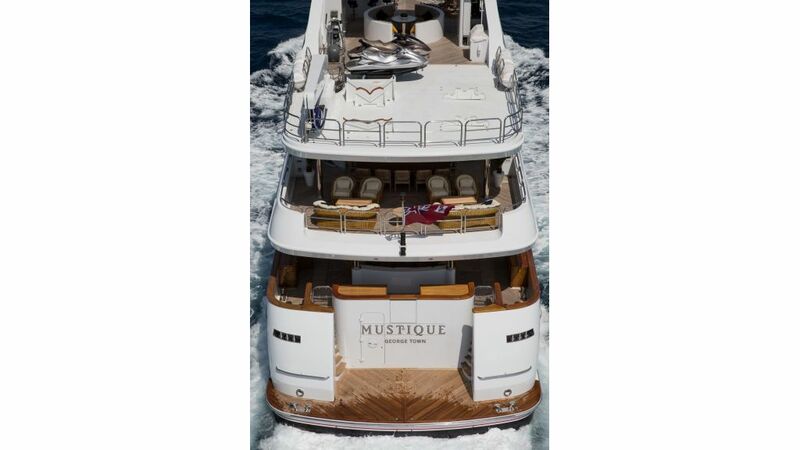 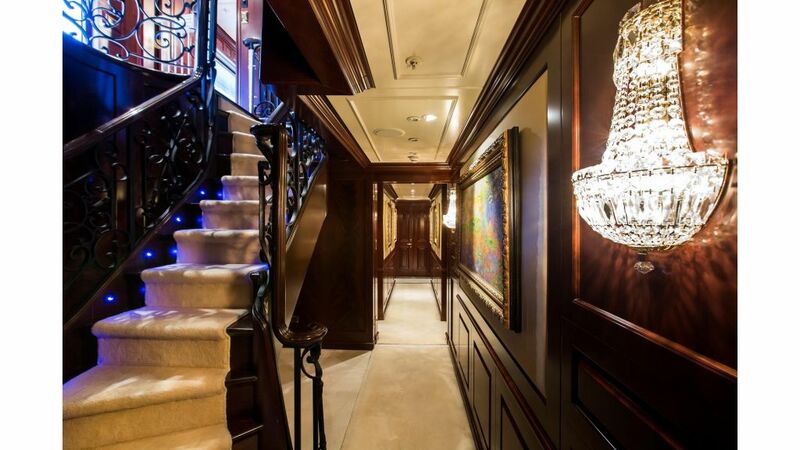 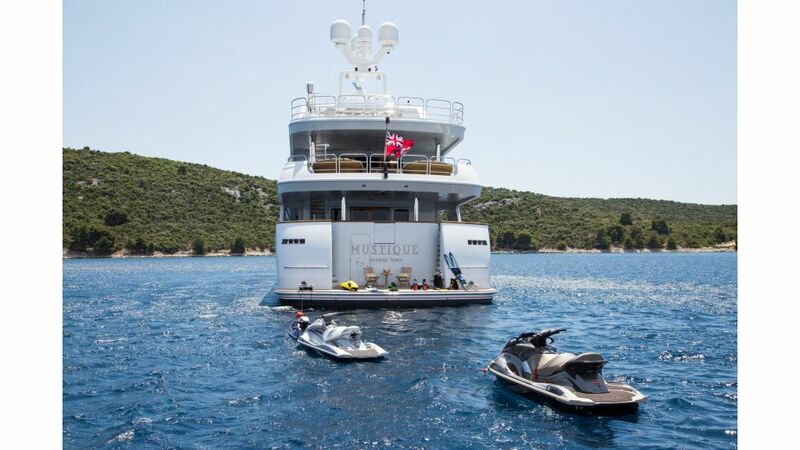 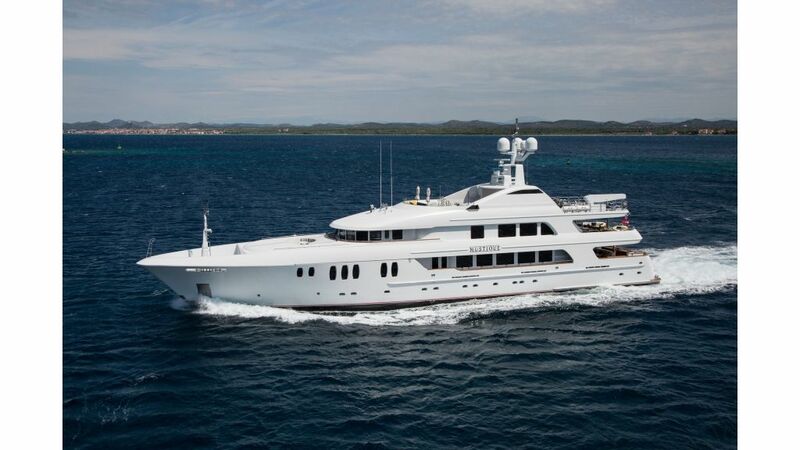 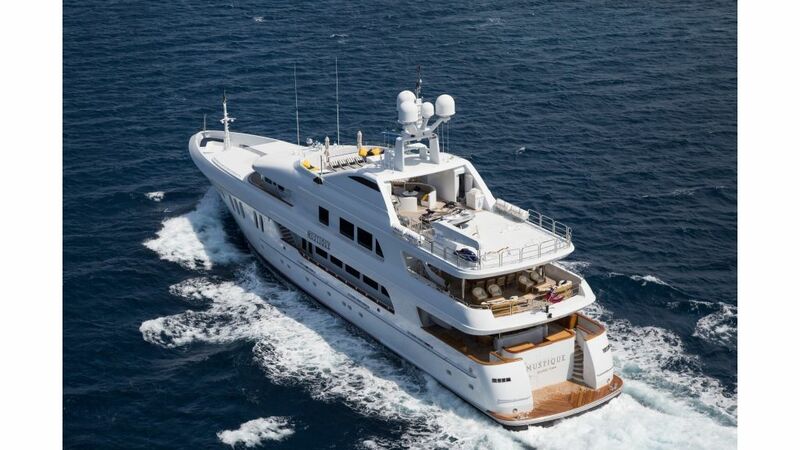 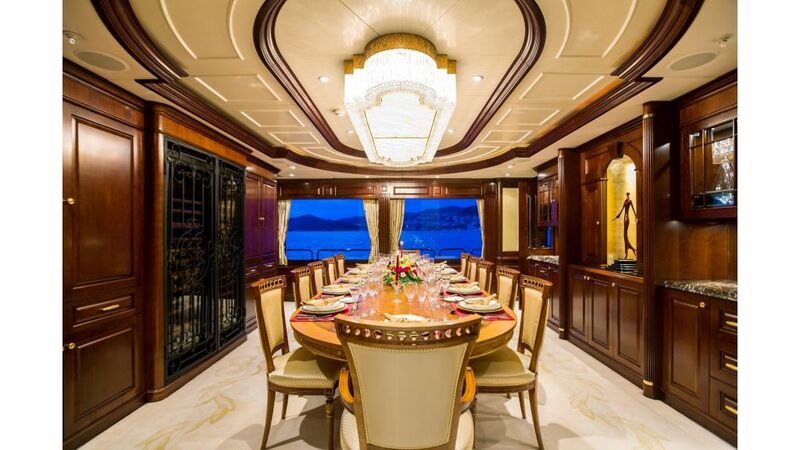 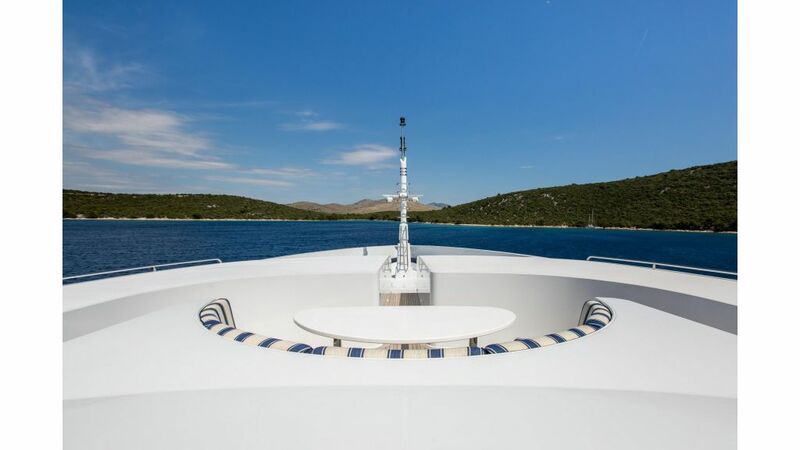 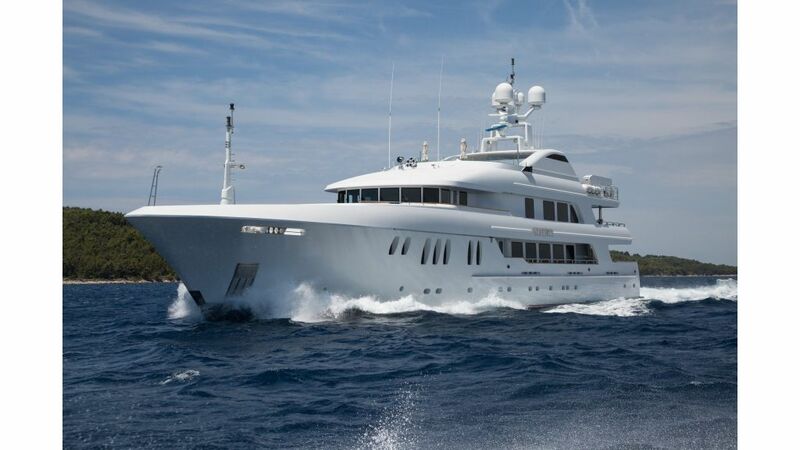 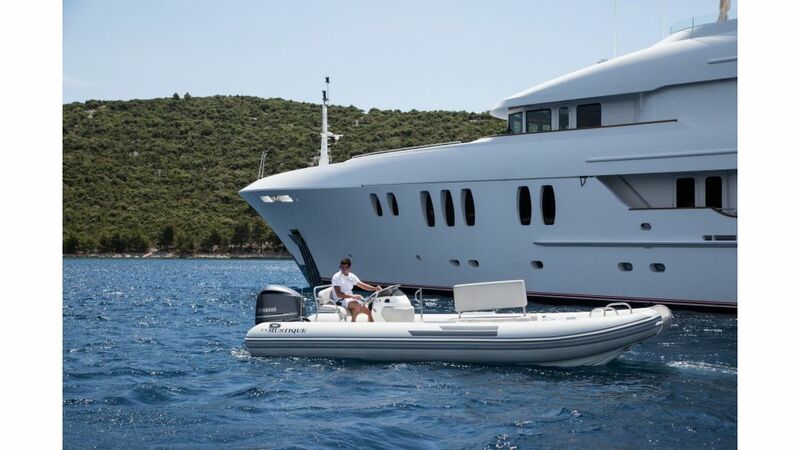 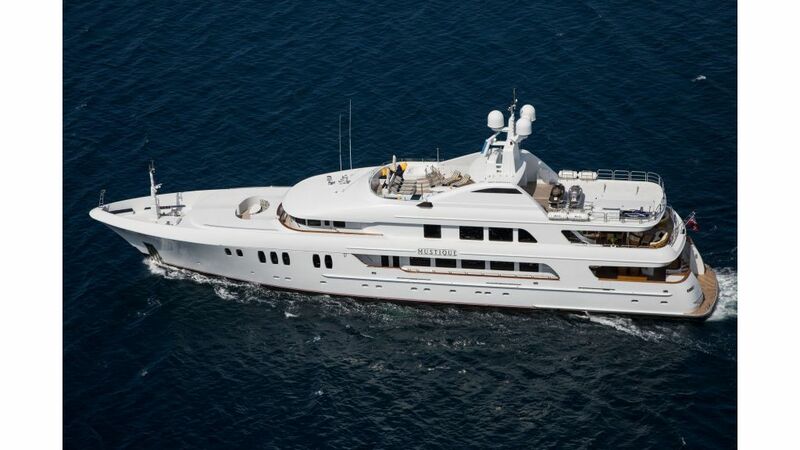 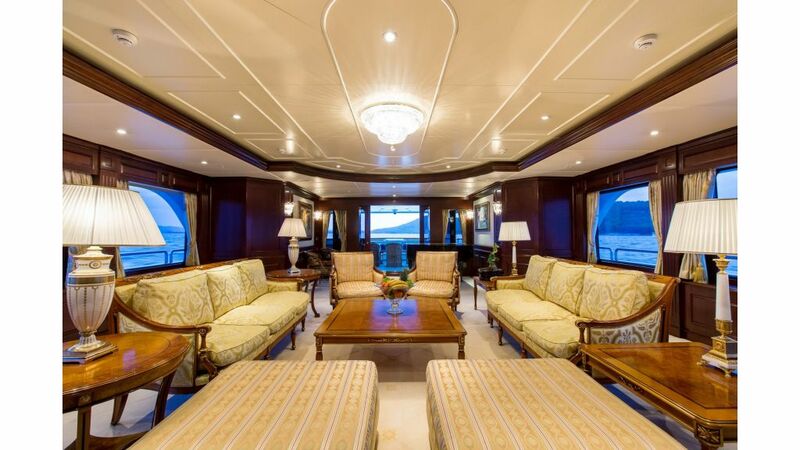 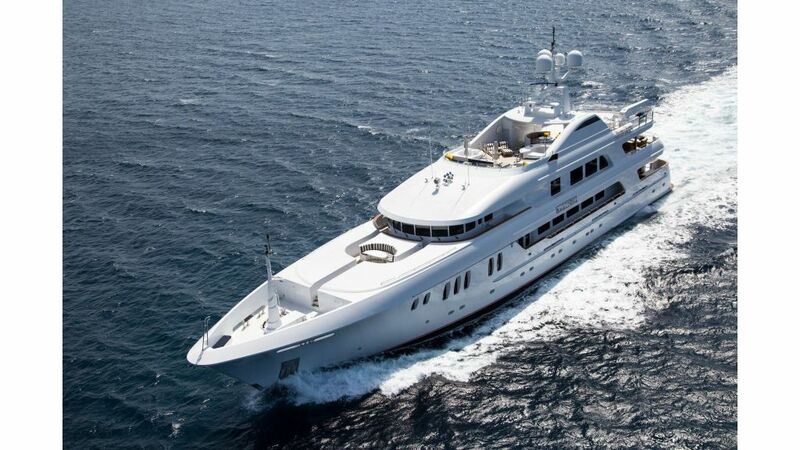 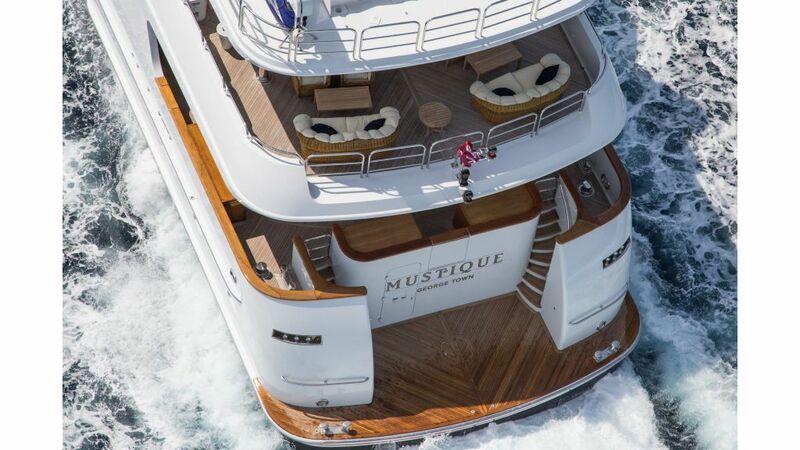 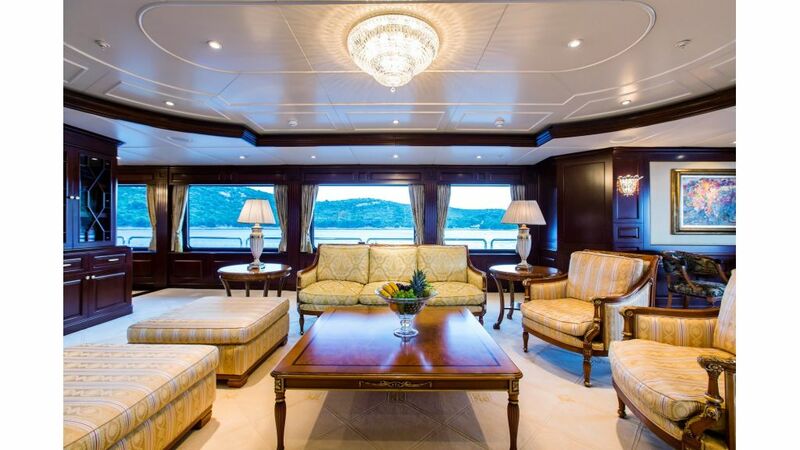 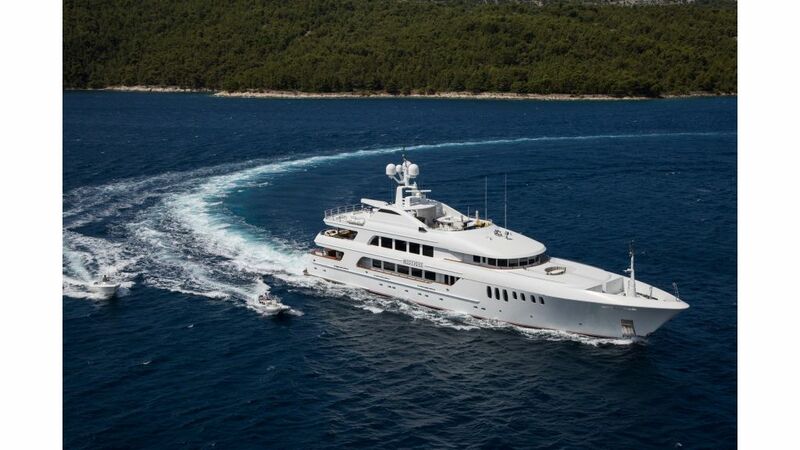 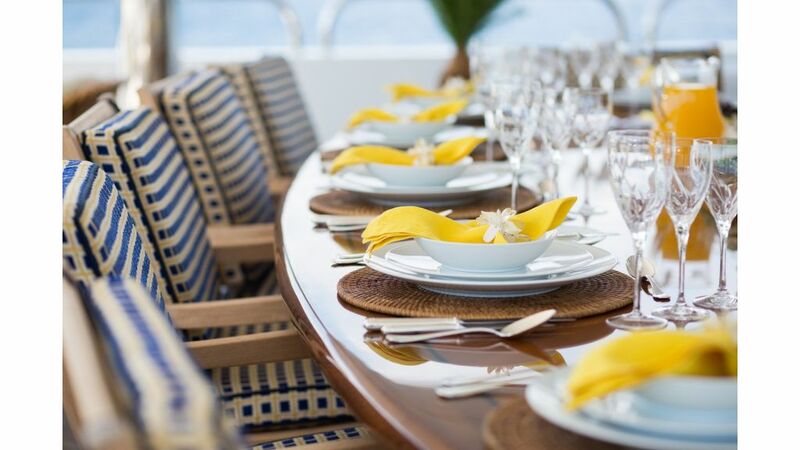 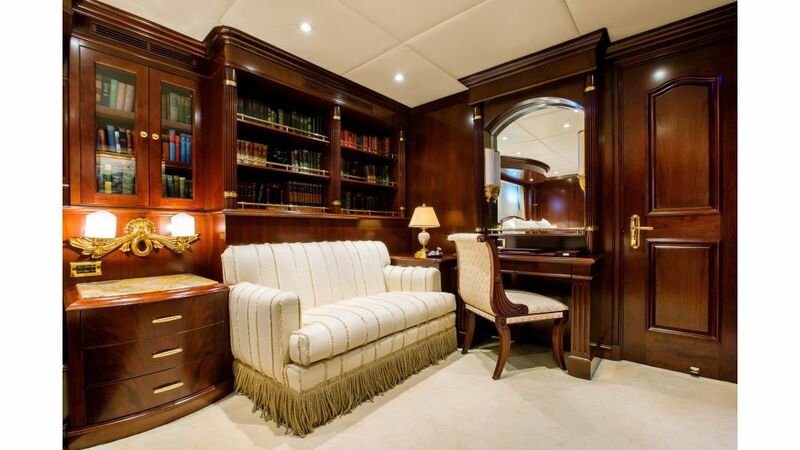 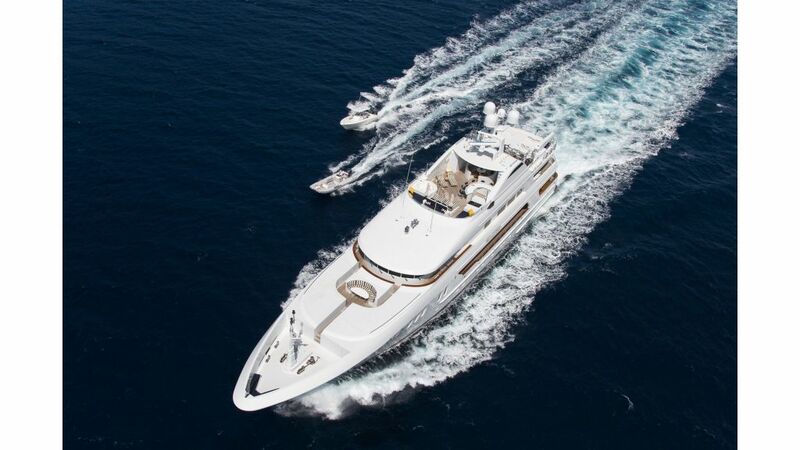 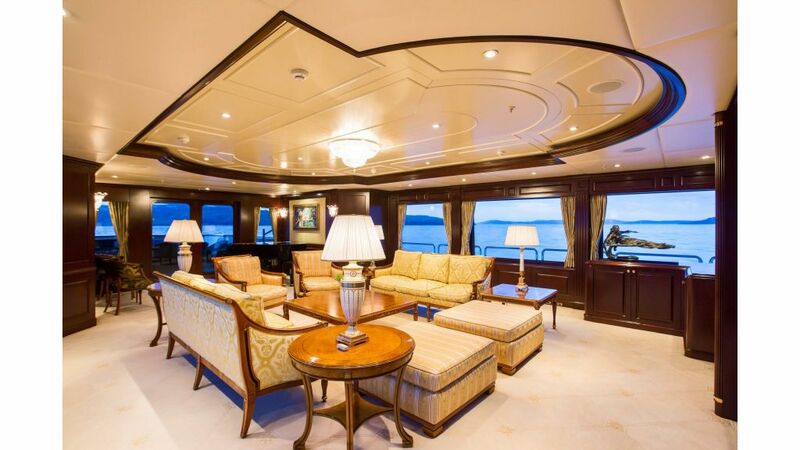 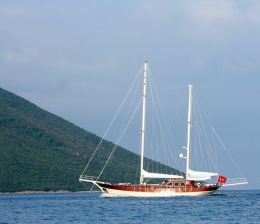 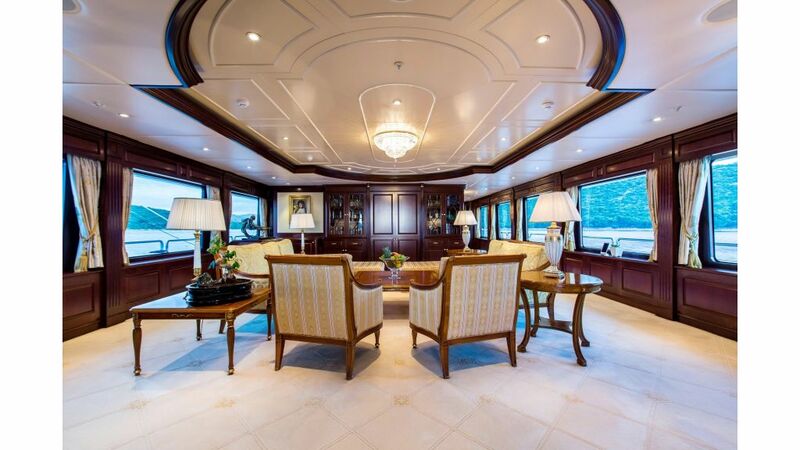 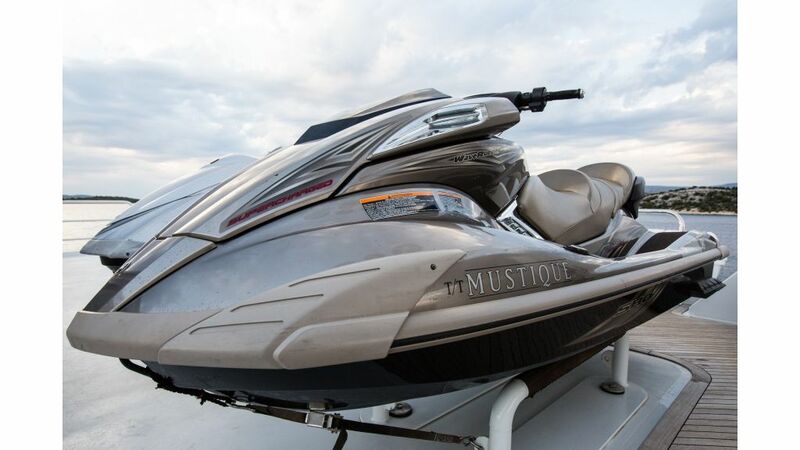 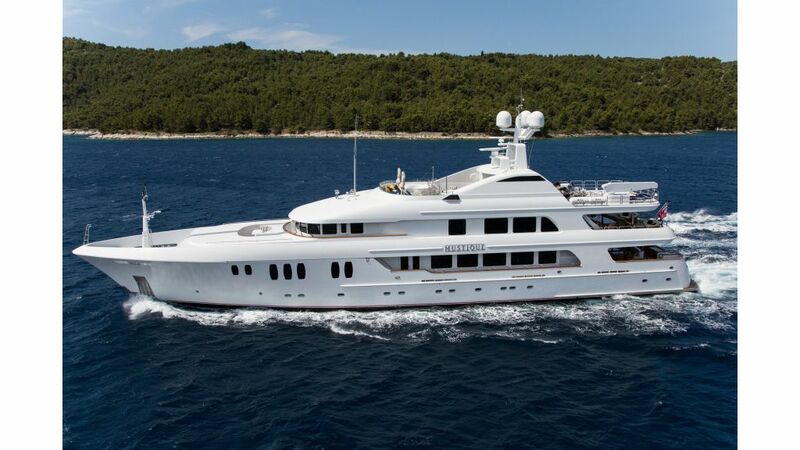 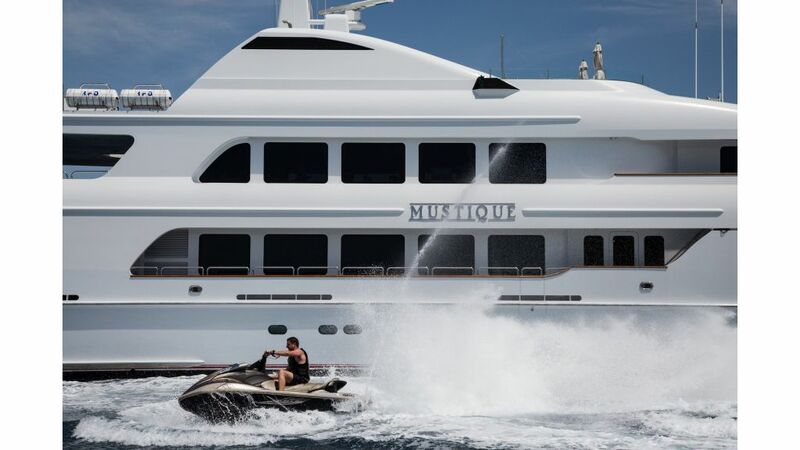 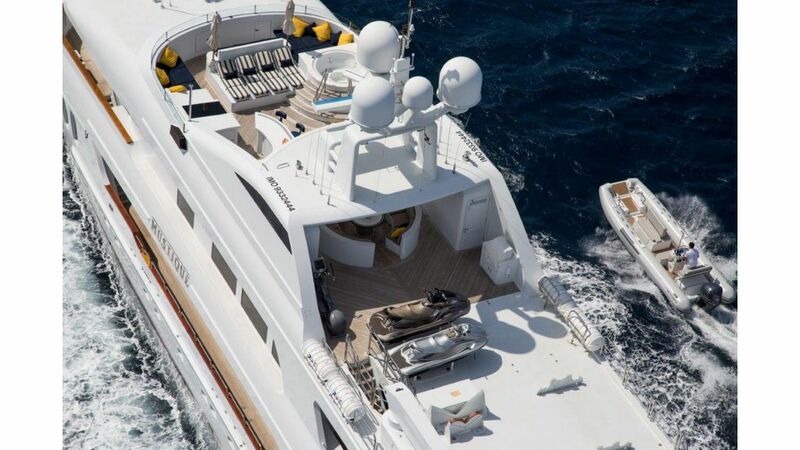 Motoryacht Mustique is exceptional with Her sleek and eye-catching looks make a statement at every port she visit . 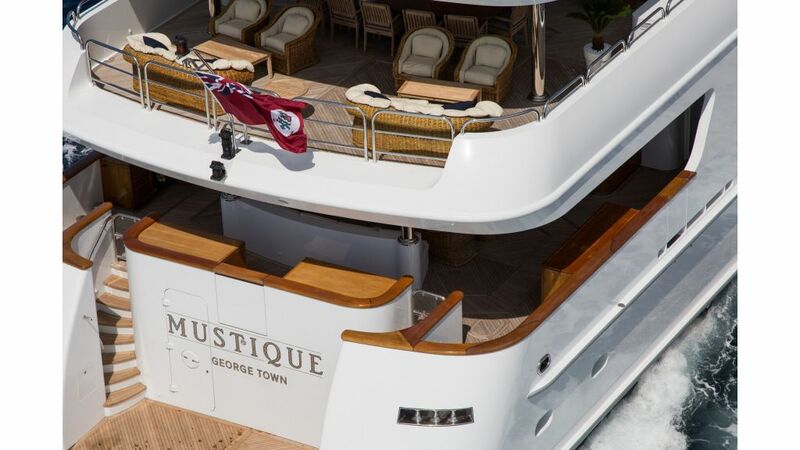 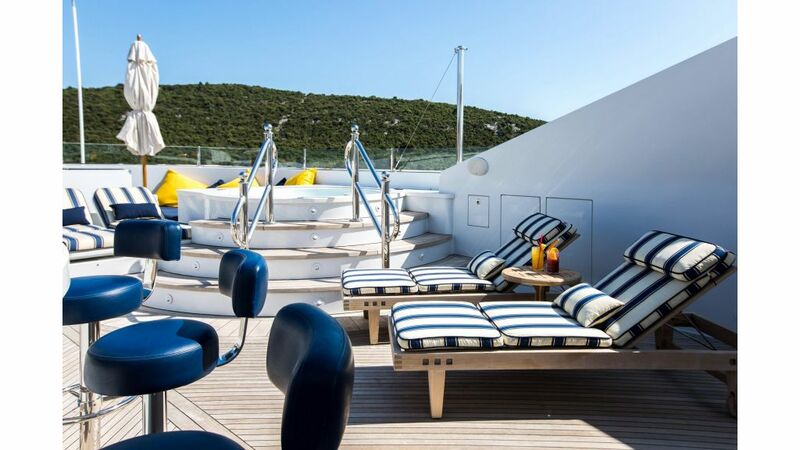 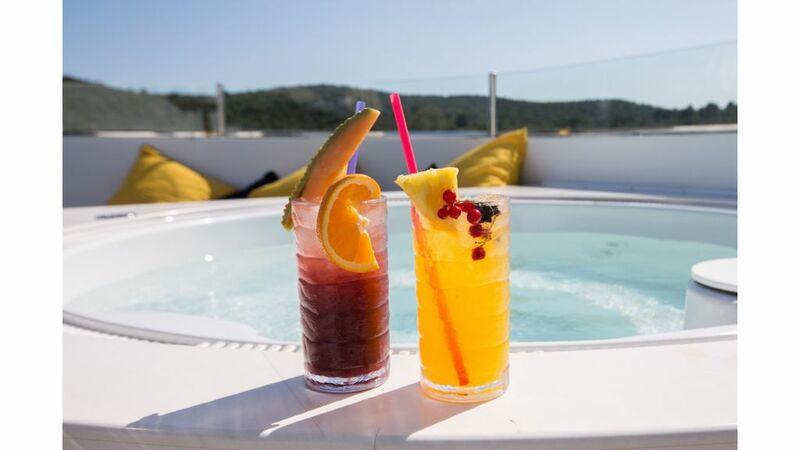 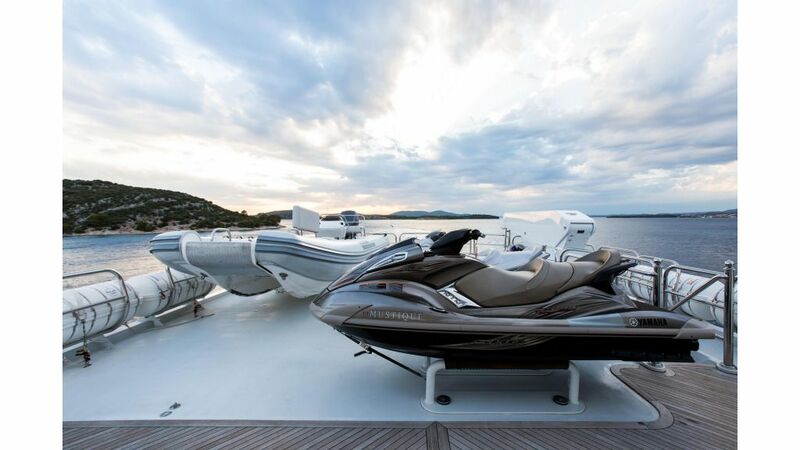 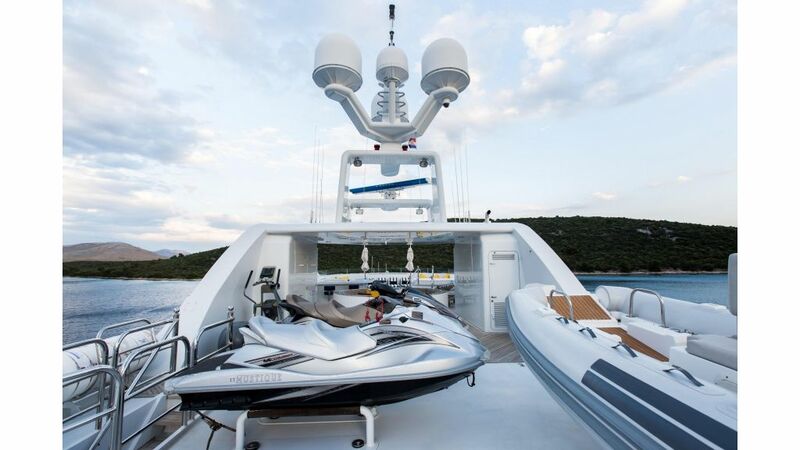 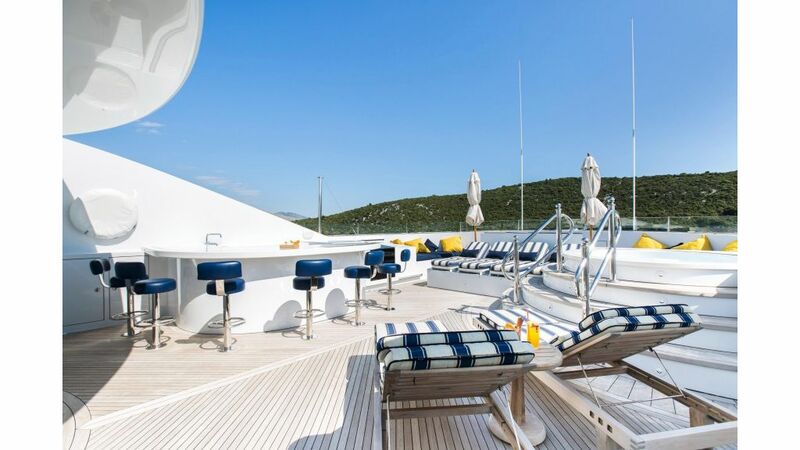 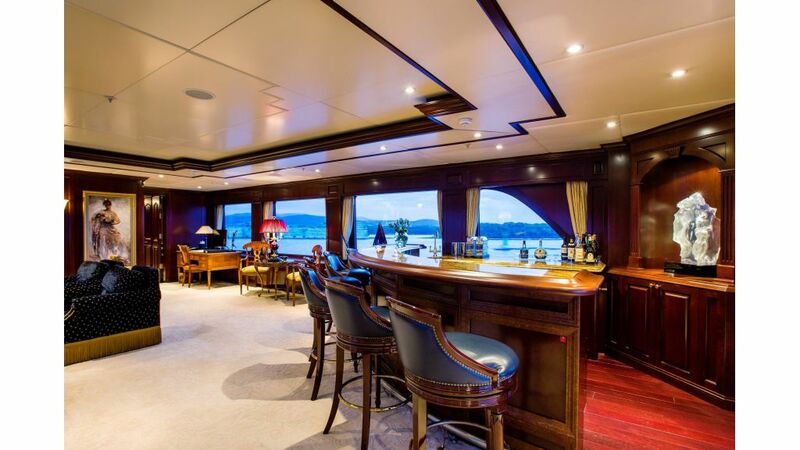 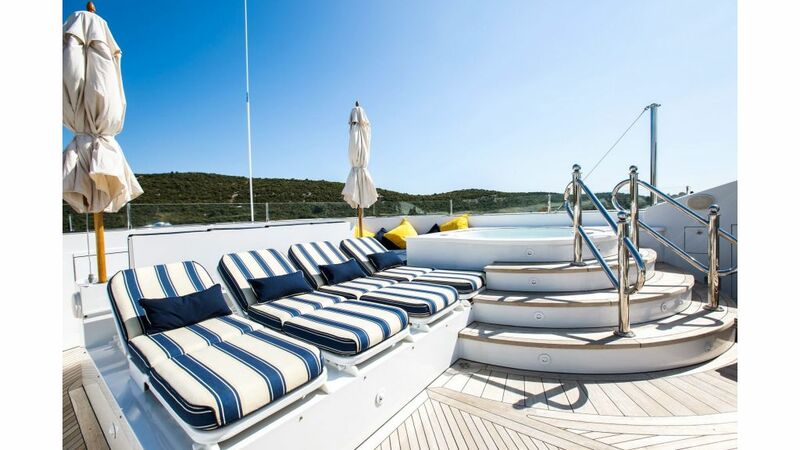 Mustique’s luxurious sky lounge has a includes a bar with ample seating, and the aft deck offers either an alfresco or enclosed airconditioned environment. 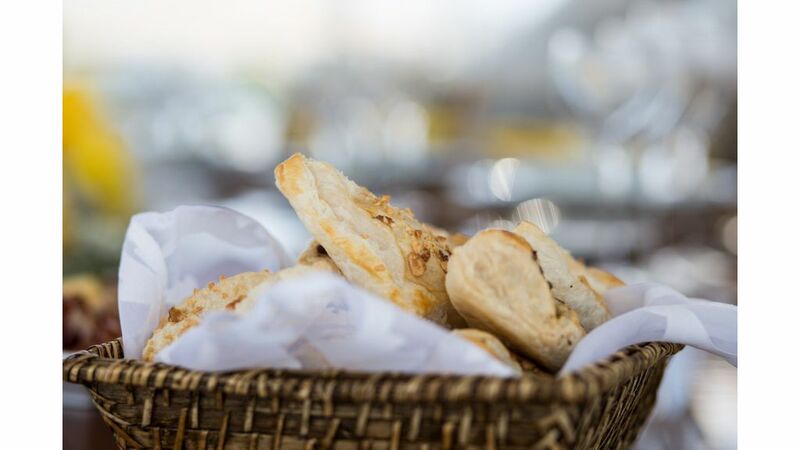 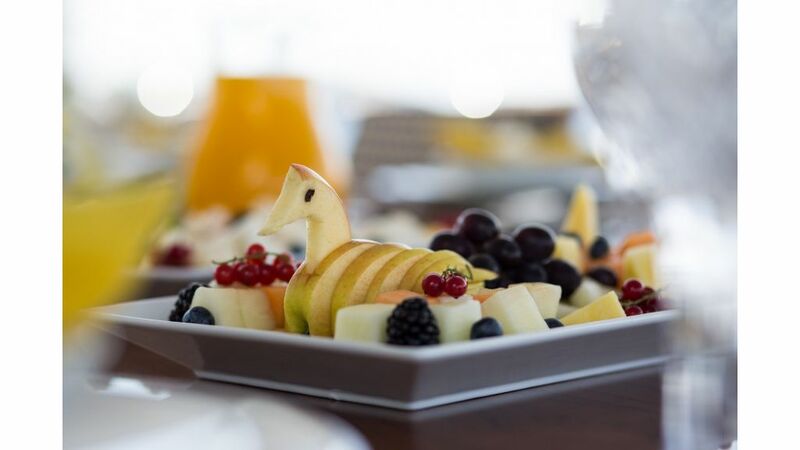 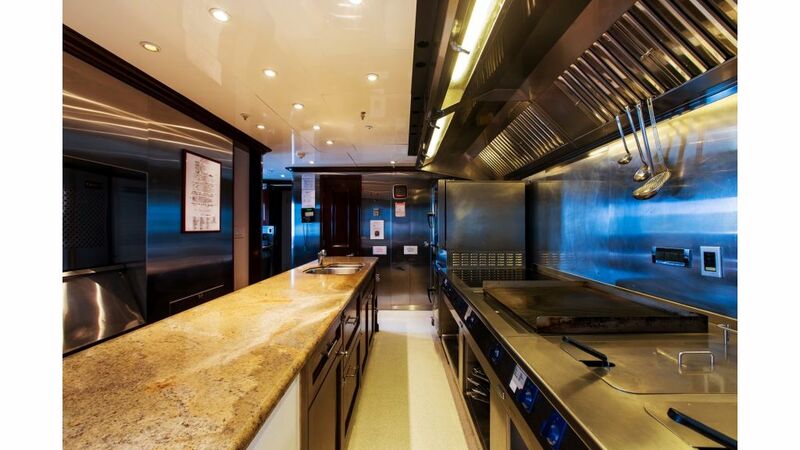 Dining saloon comes with a talented chef to prepare cuisine for every taste. 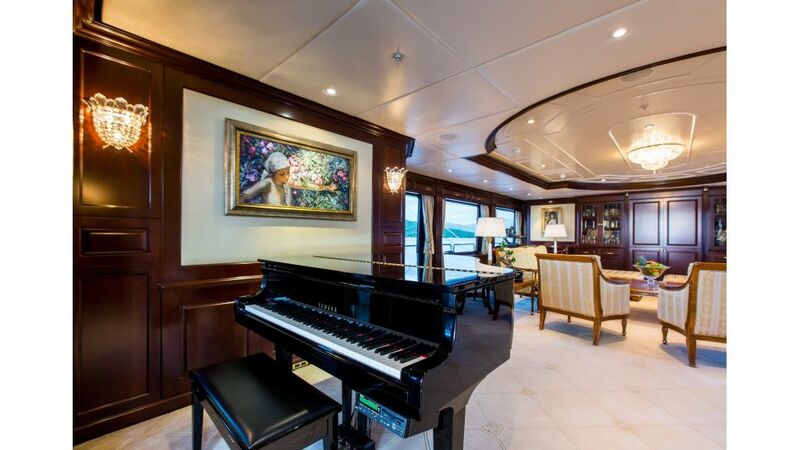 The main salon boasts a large screen television, grand piano and extensive music and film library. 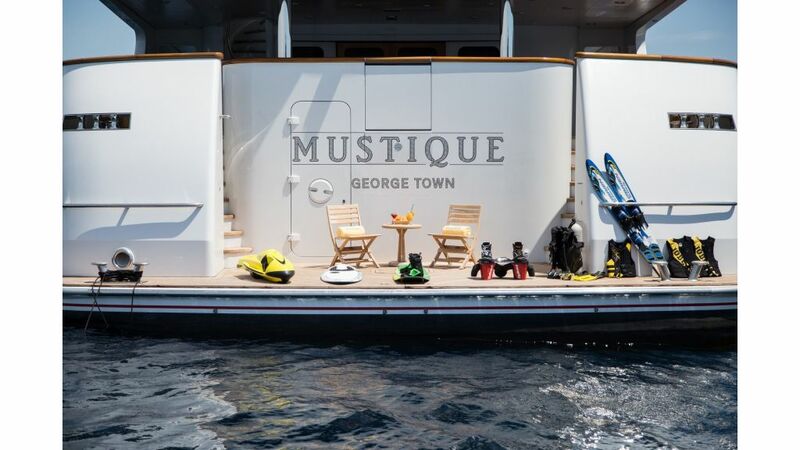 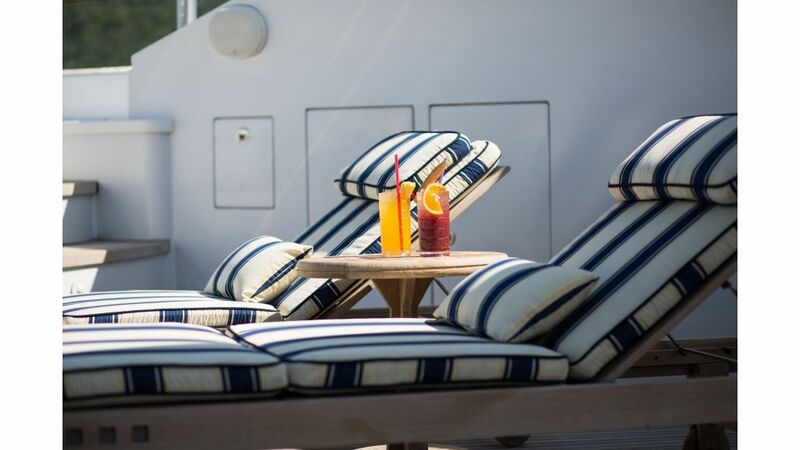 Mustique’s deck areas offer multi functional space for lounging and dining. 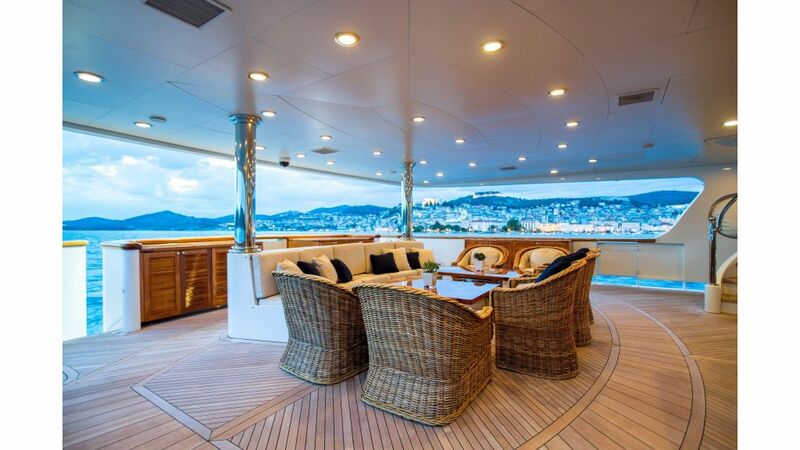 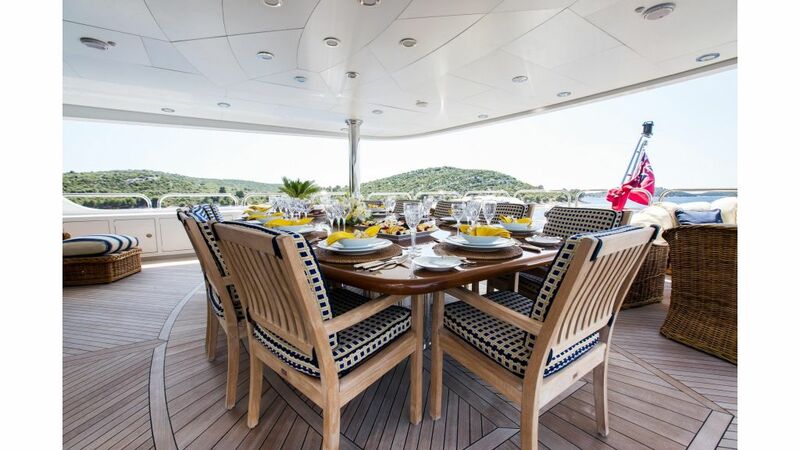 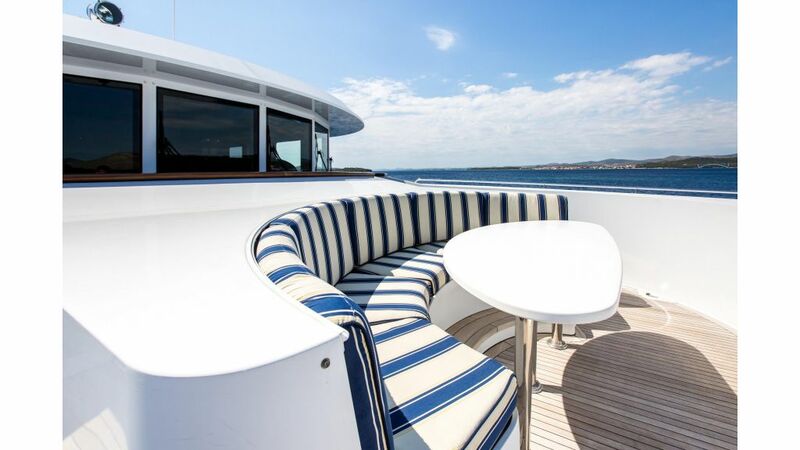 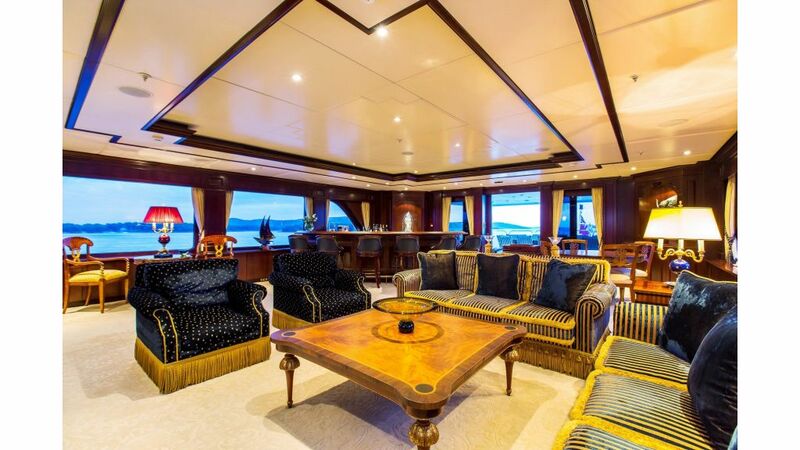 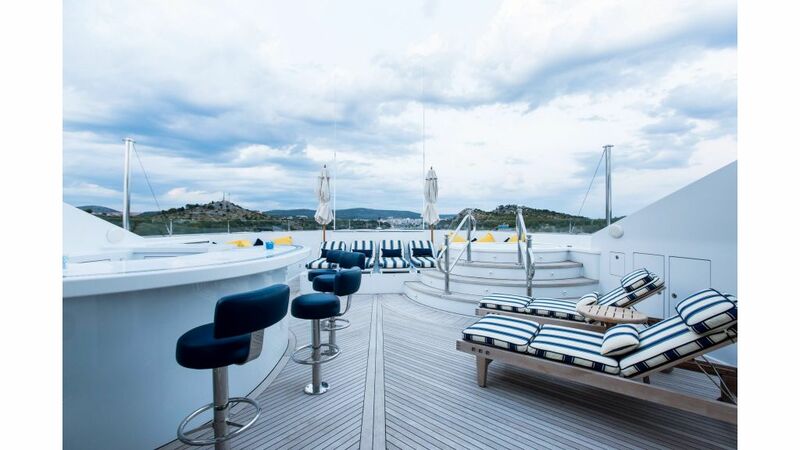 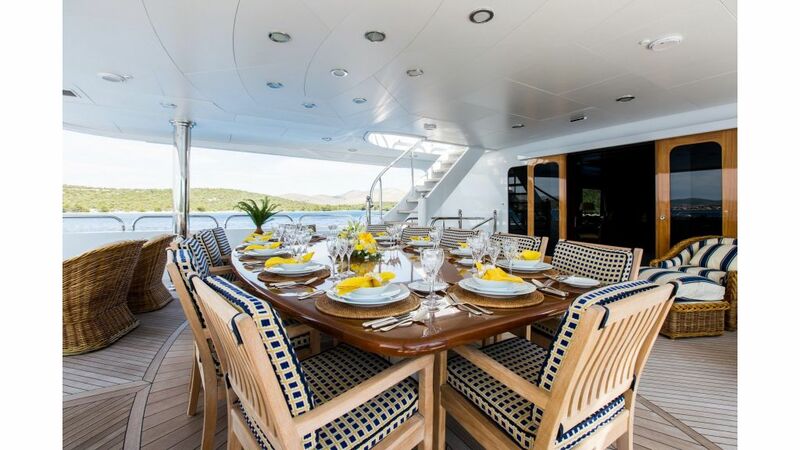 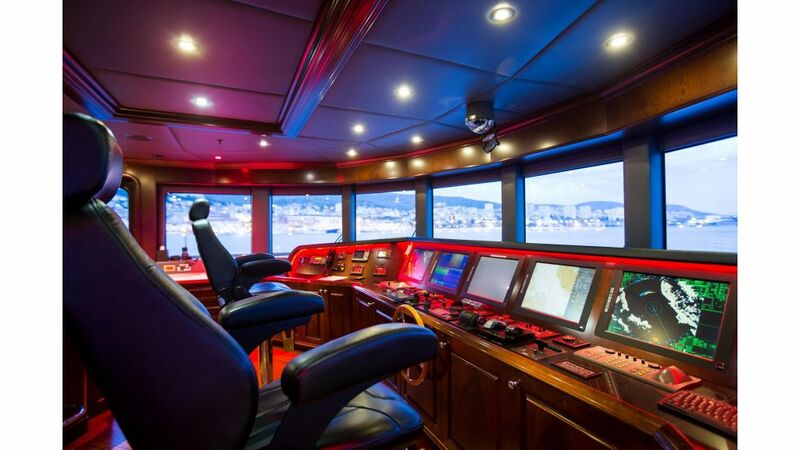 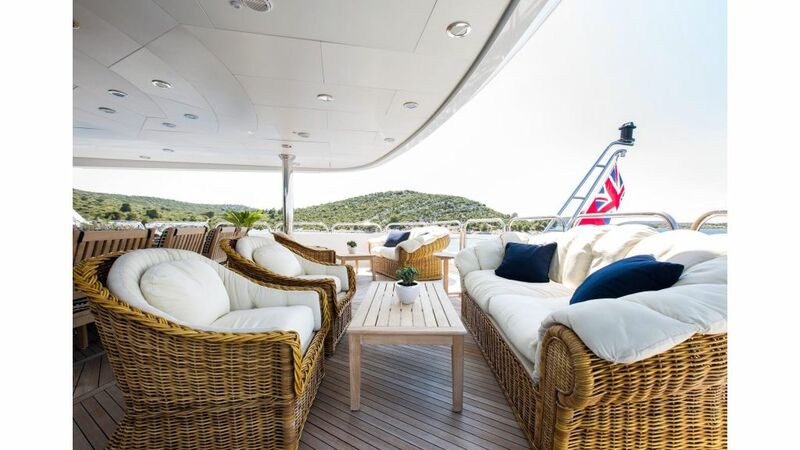 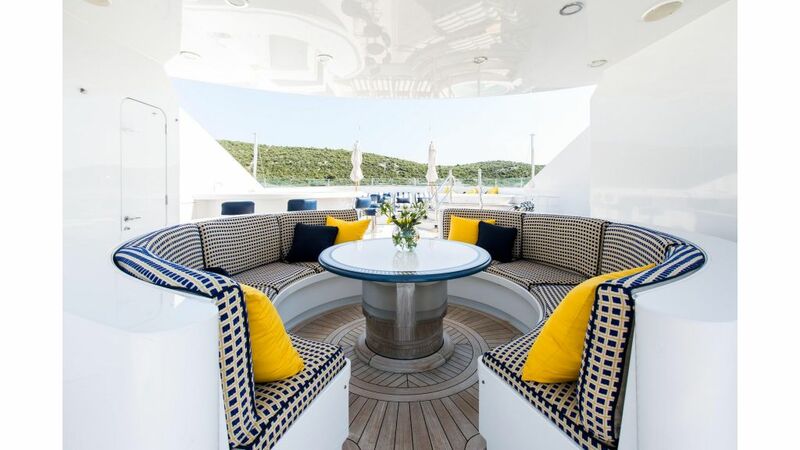 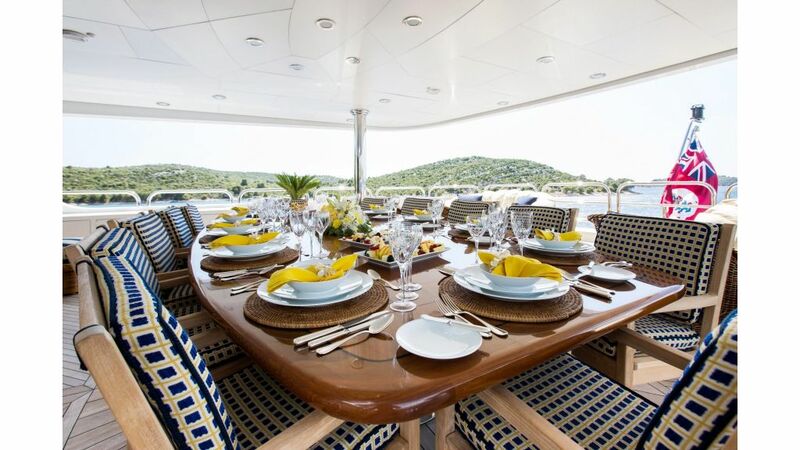 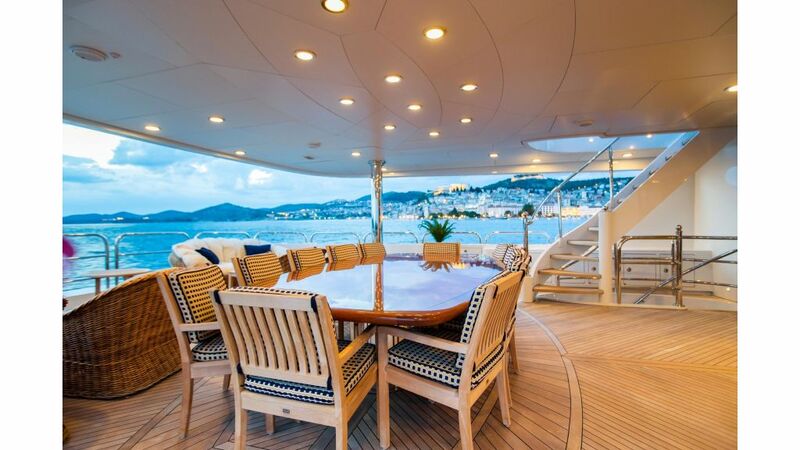 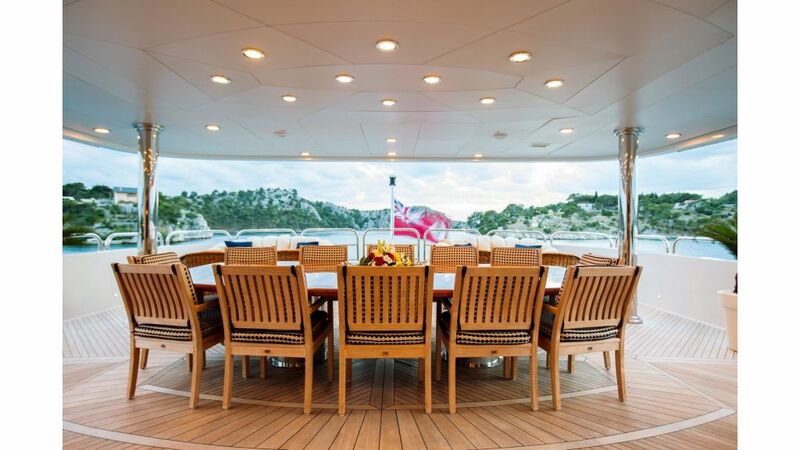 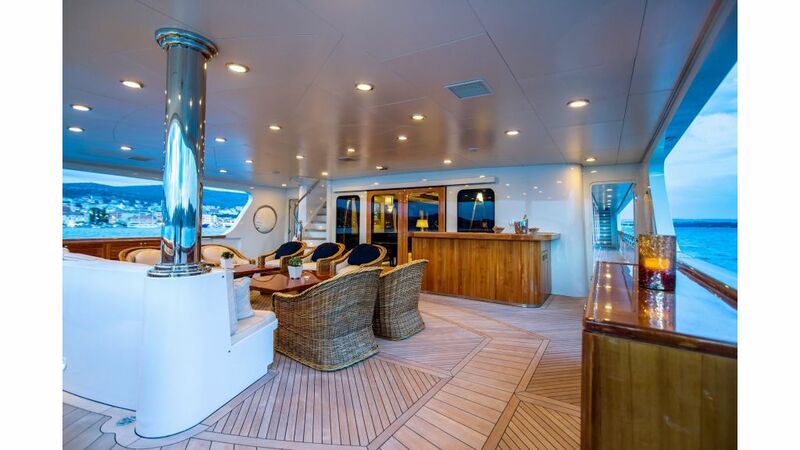 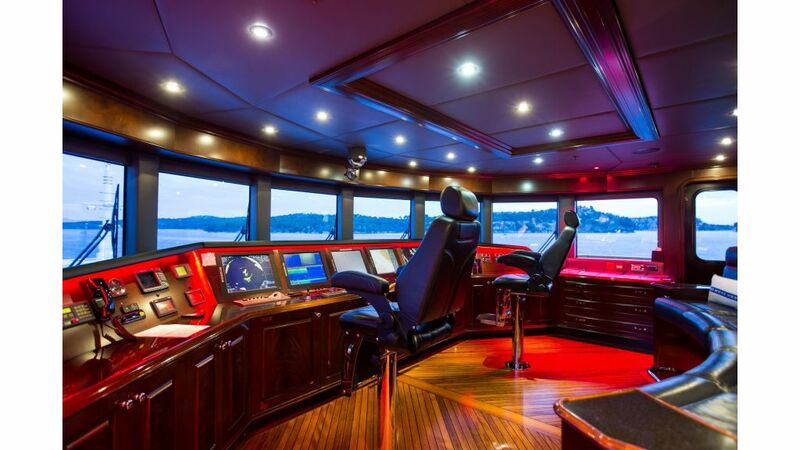 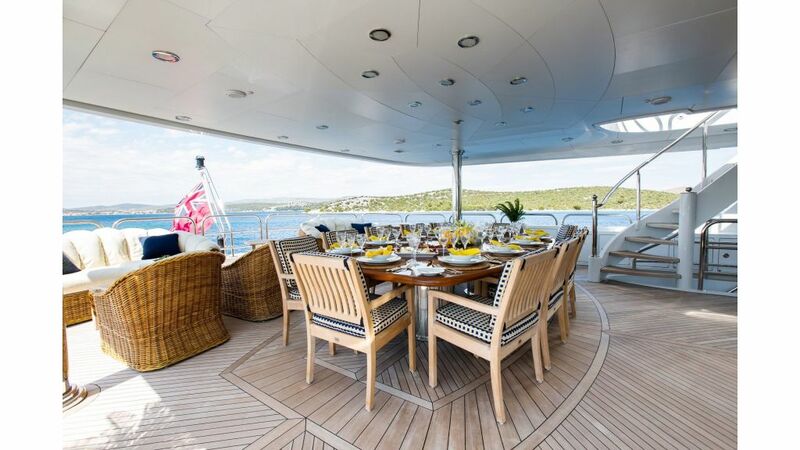 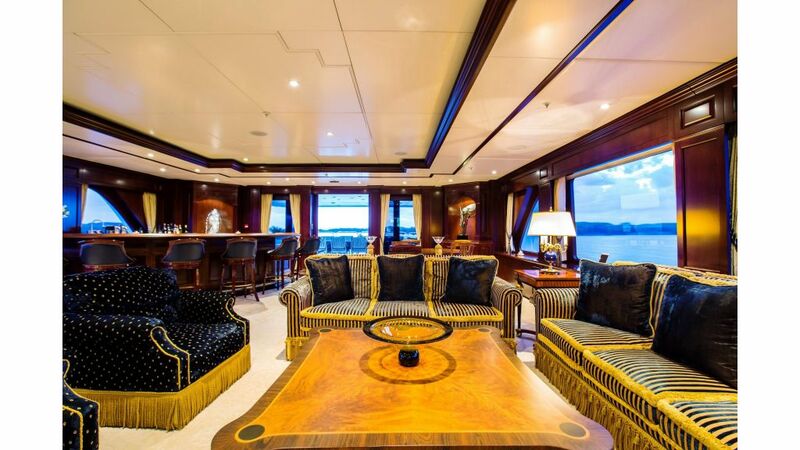 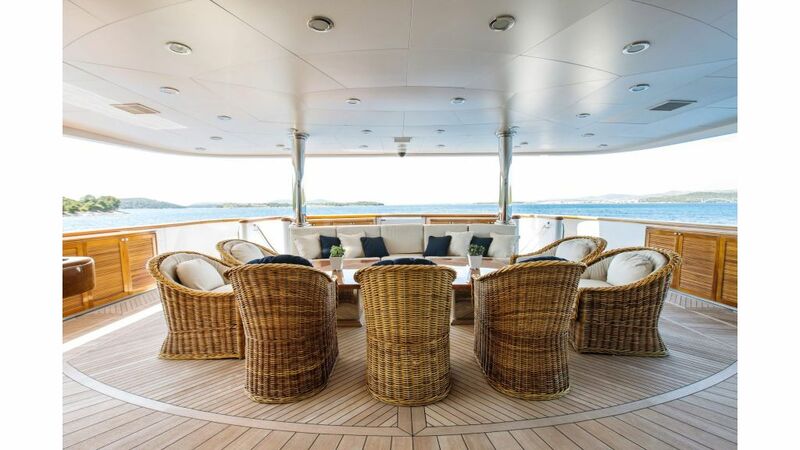 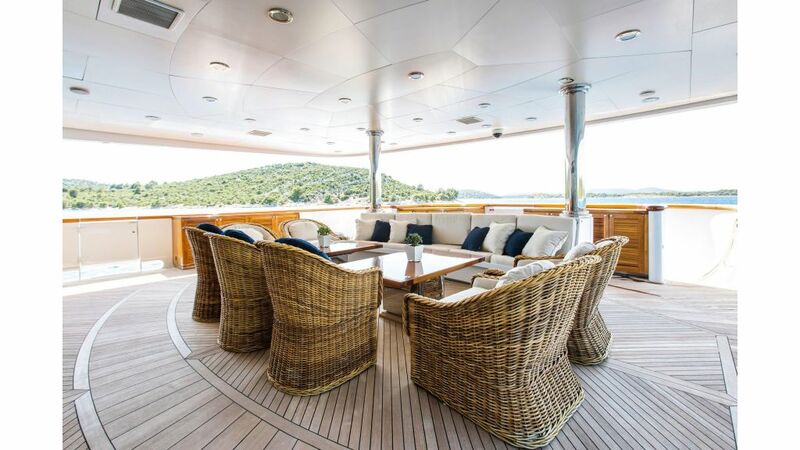 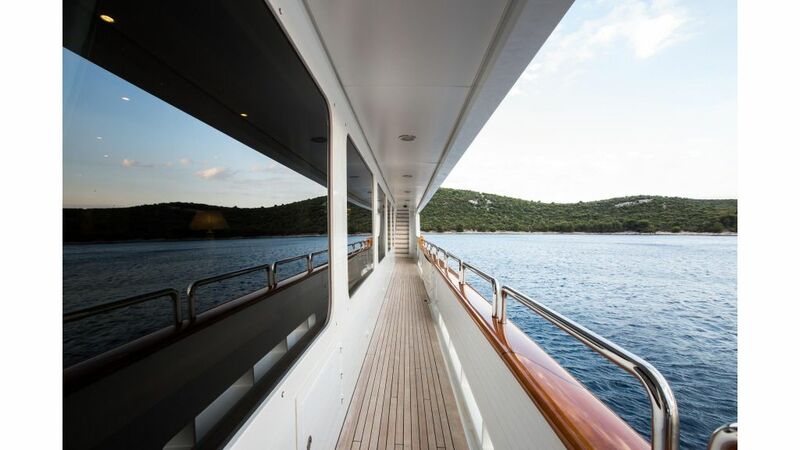 The decks incorporate both open areas for socialising and secluded sections . 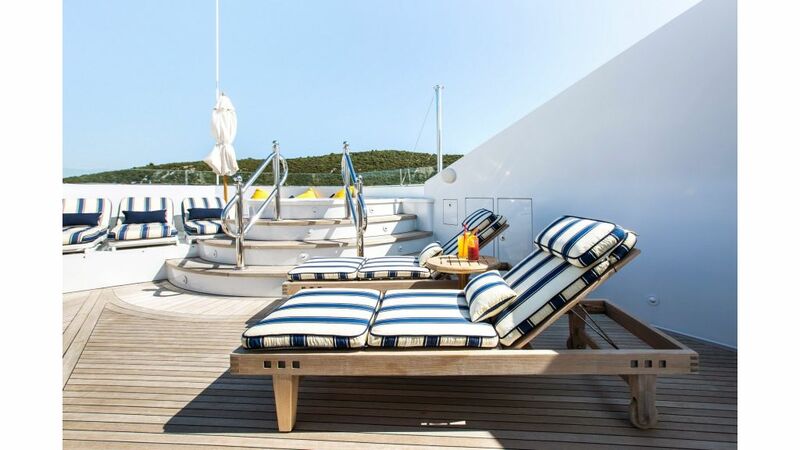 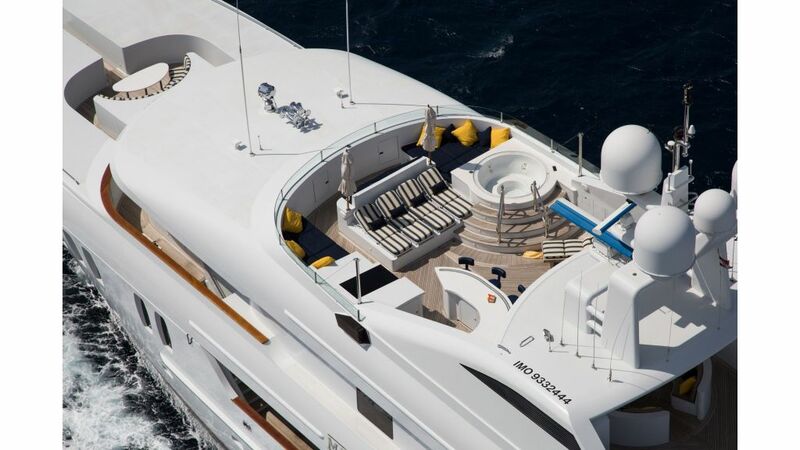 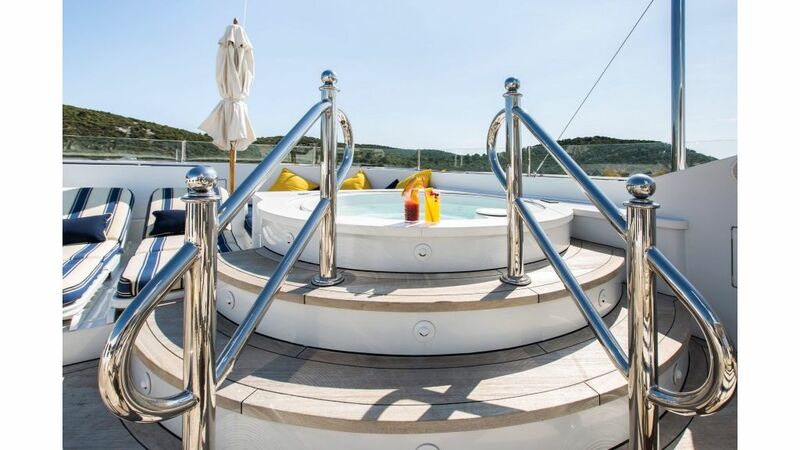 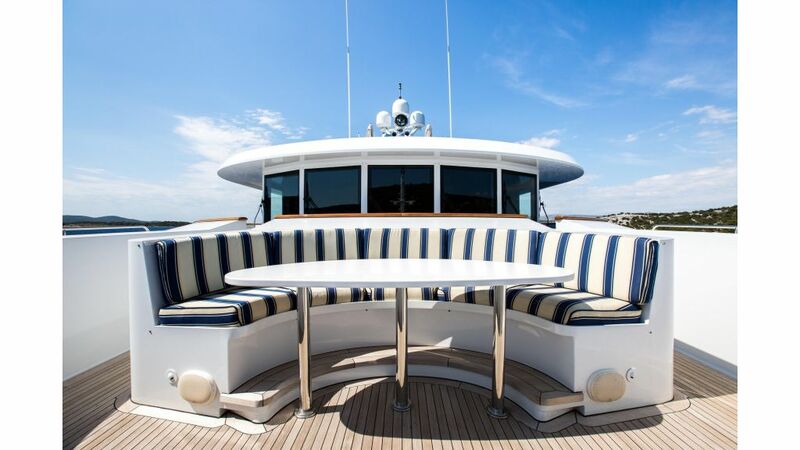 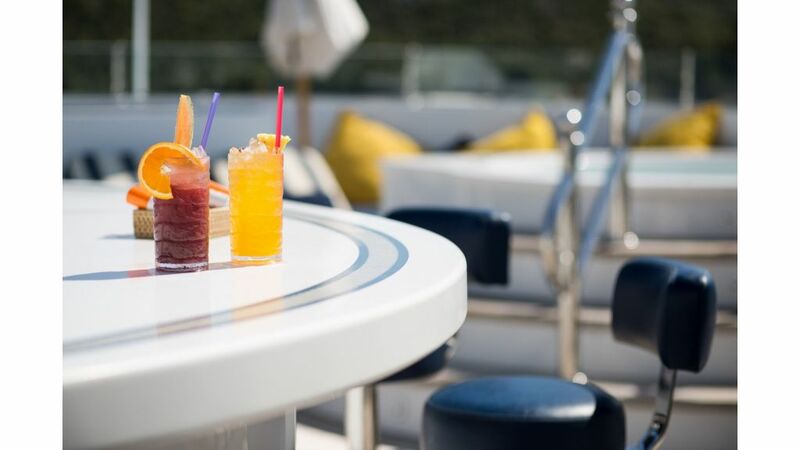 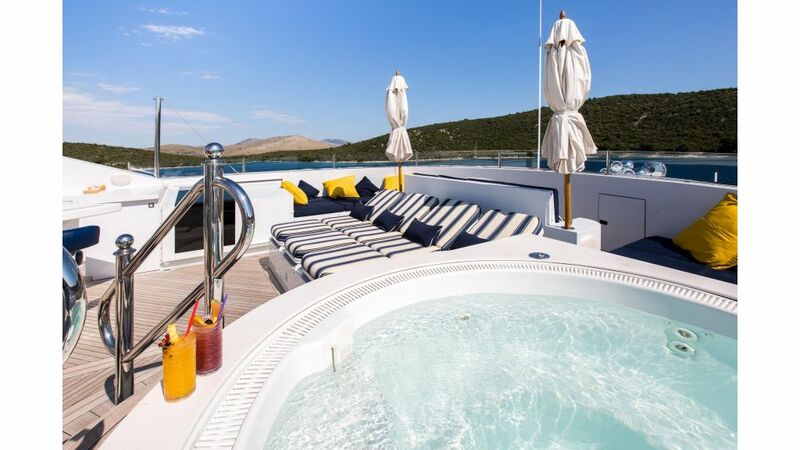 The sundeck has been designed to enrich relaxation with a wet bar, jacuzzi and large sun pads. 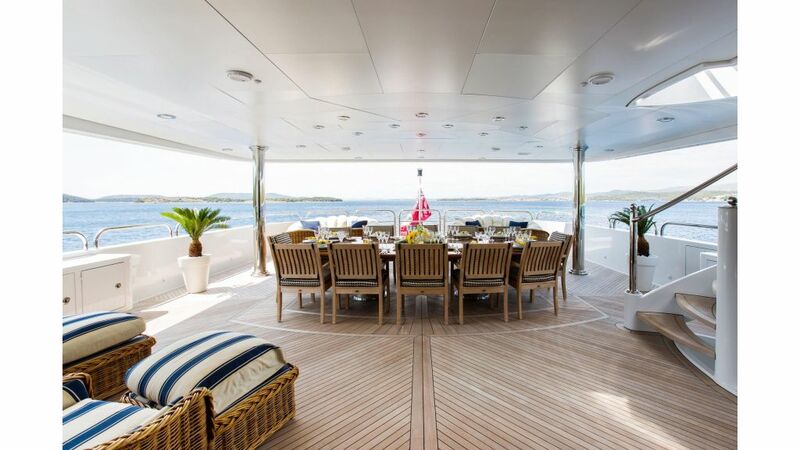 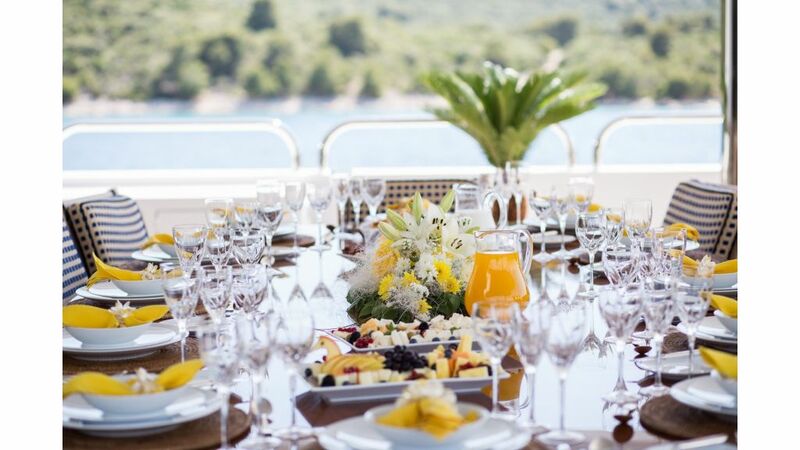 There is also an informal dining area with retractable awning, which is astutely positioned to take in the majestic views over the decks and out to sea. 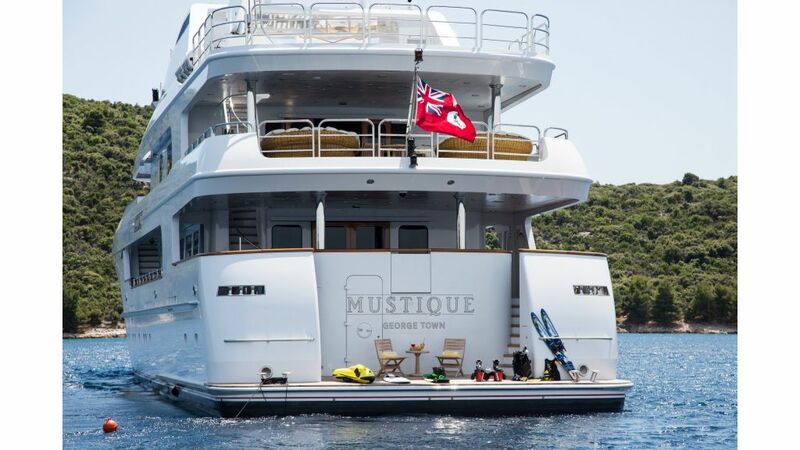 With plentiful space for twelve guests, Mustique provides lustrous accommodation over 6 ensuite staterooms. 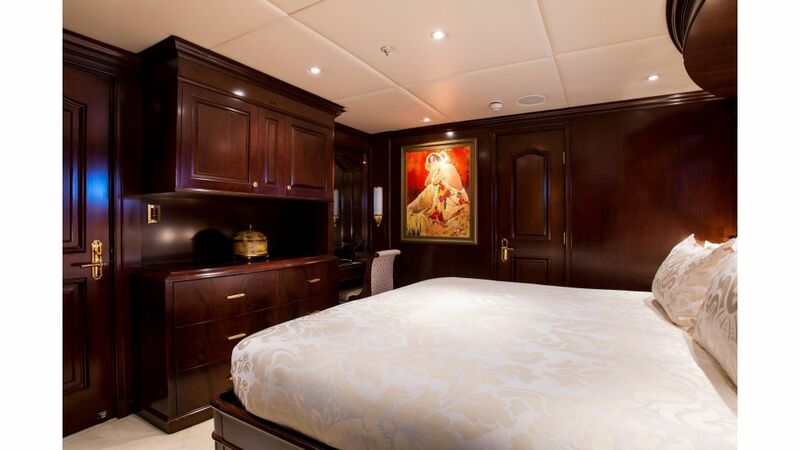 The master suite is a lavish state room offering both size and repose. 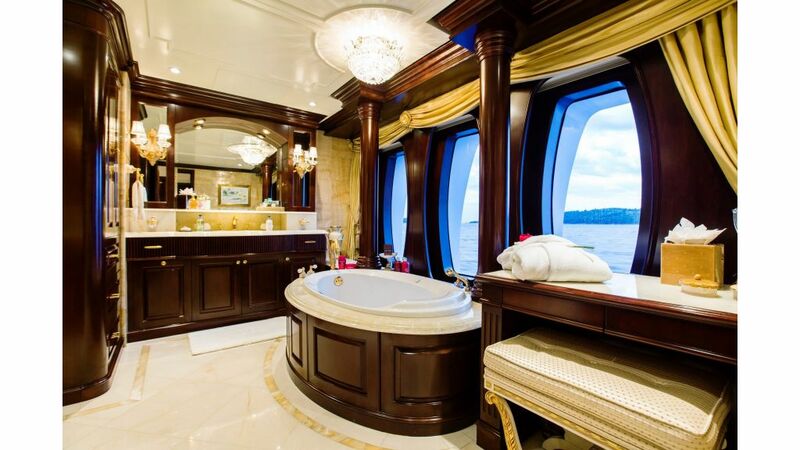 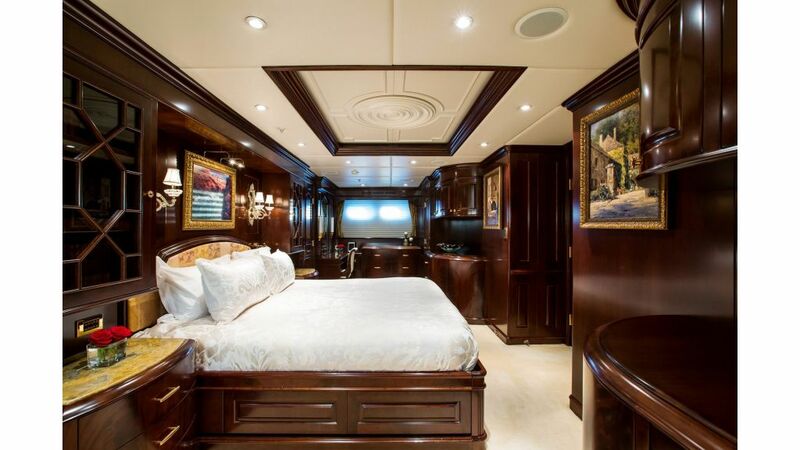 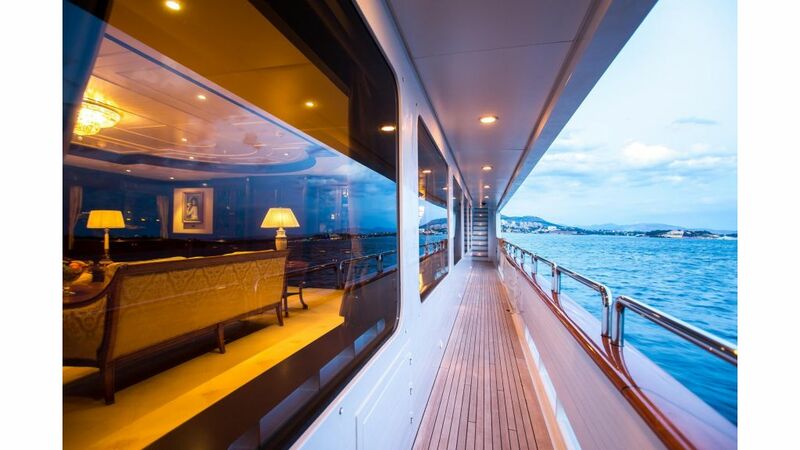 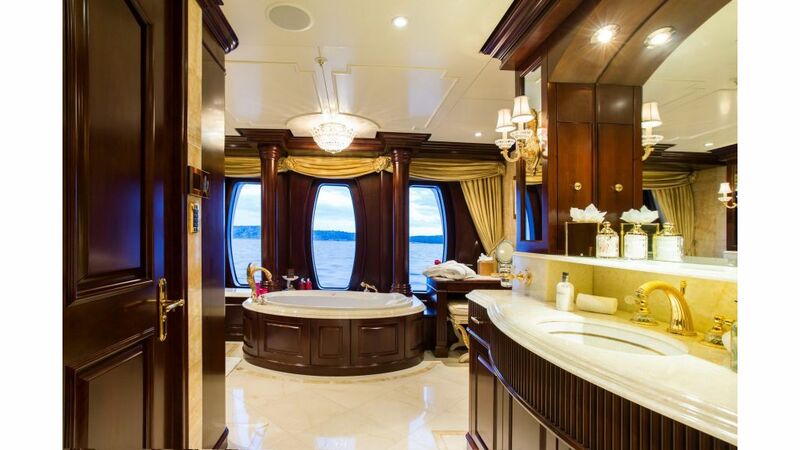 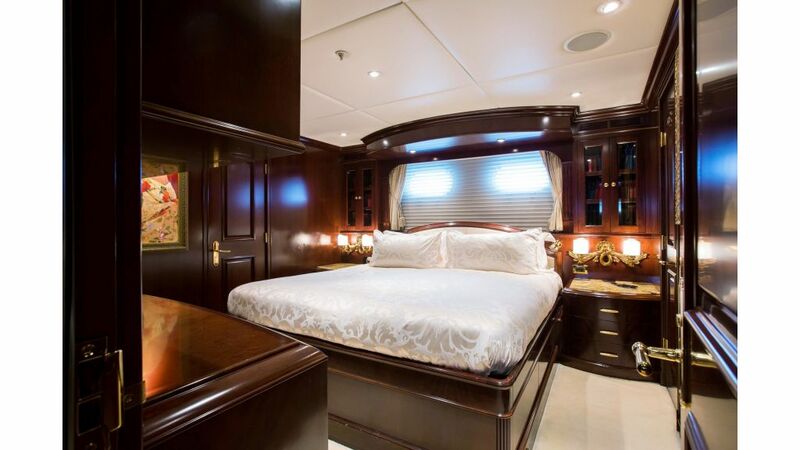 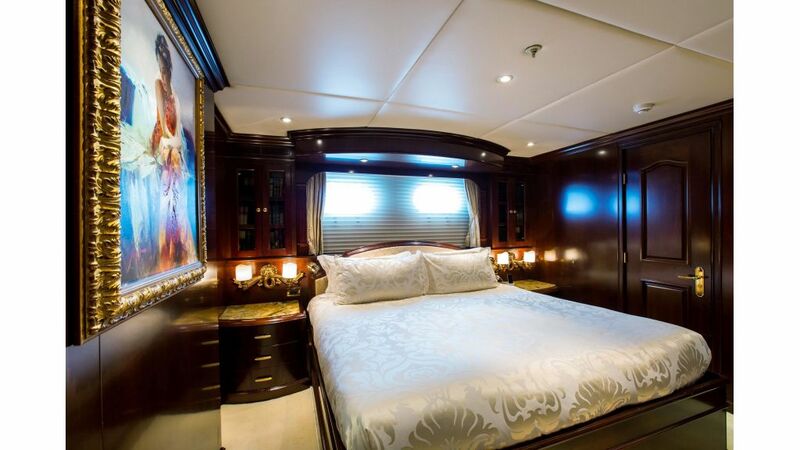 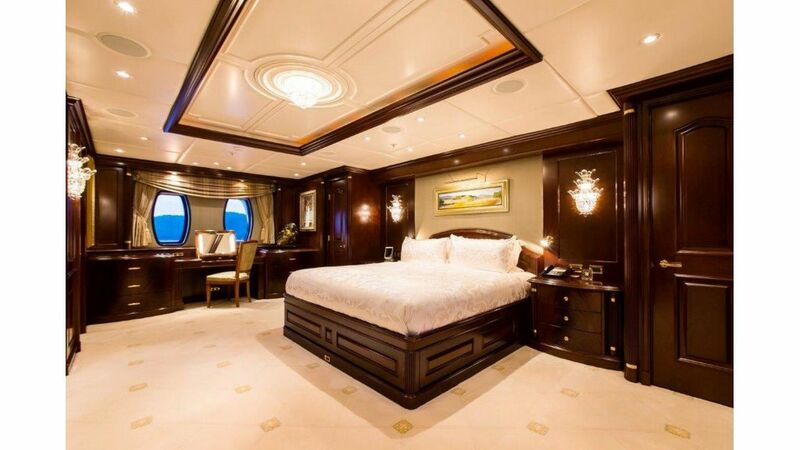 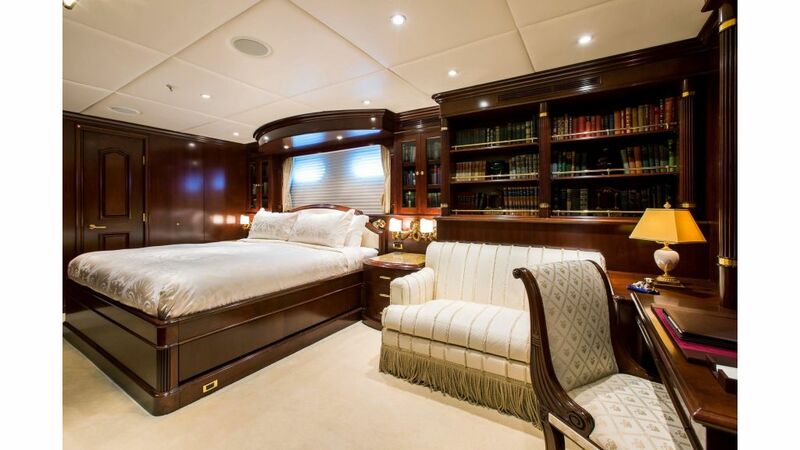 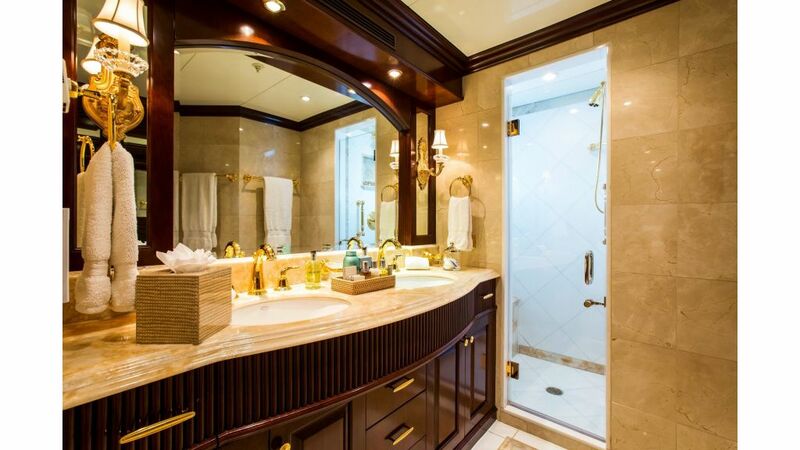 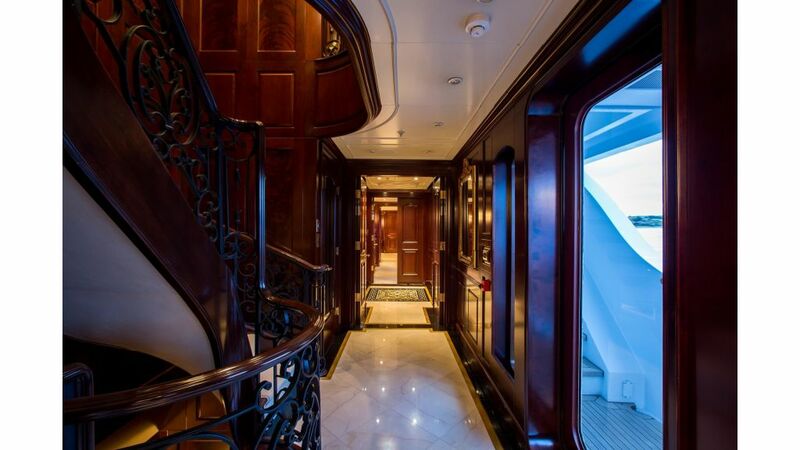 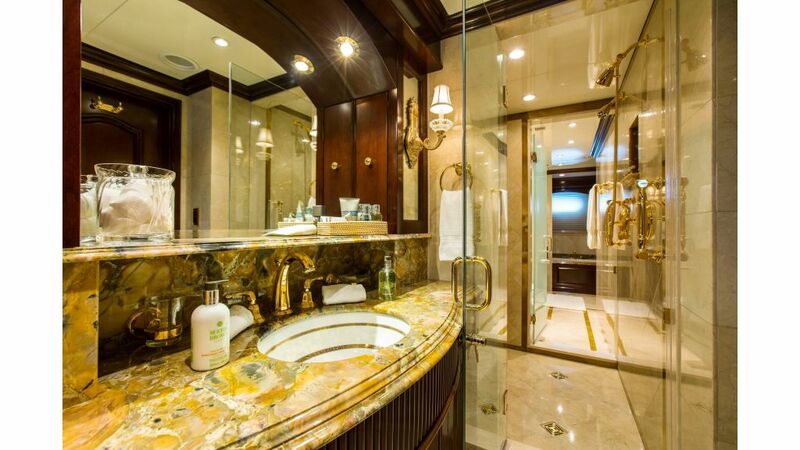 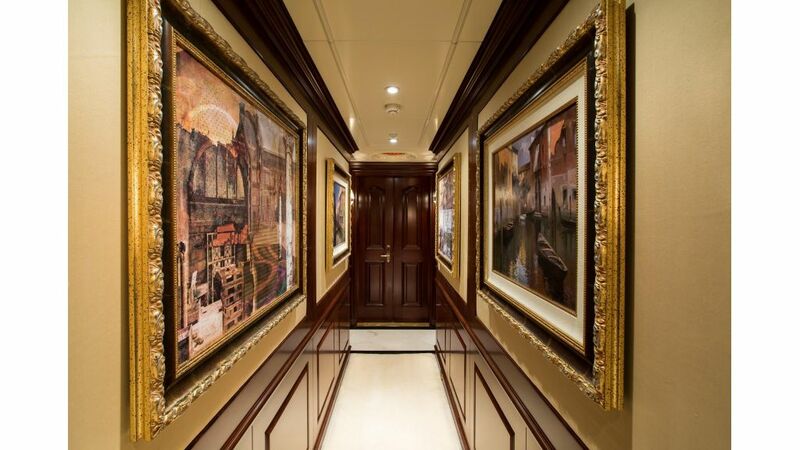 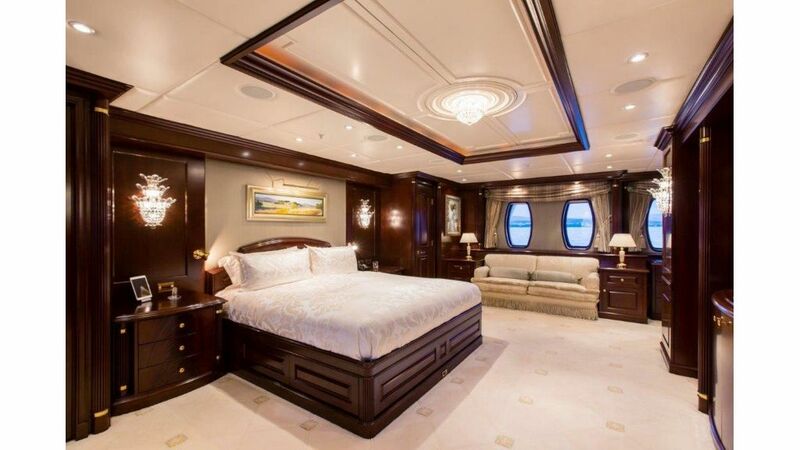 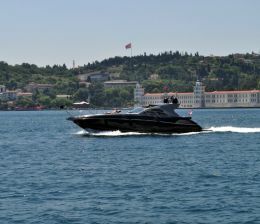 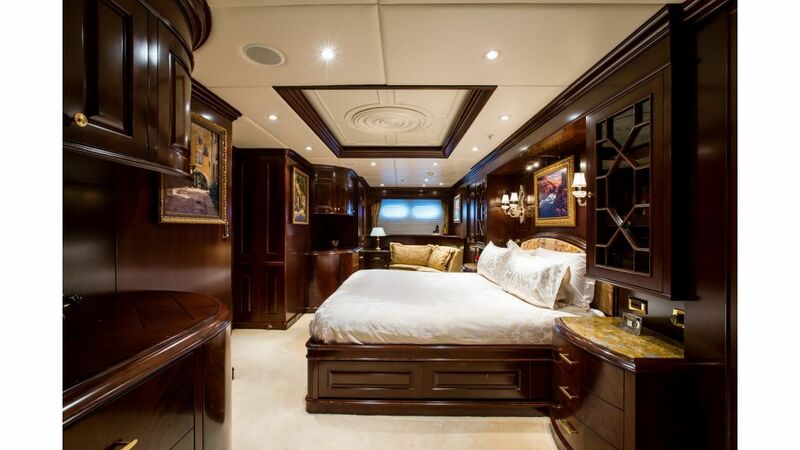 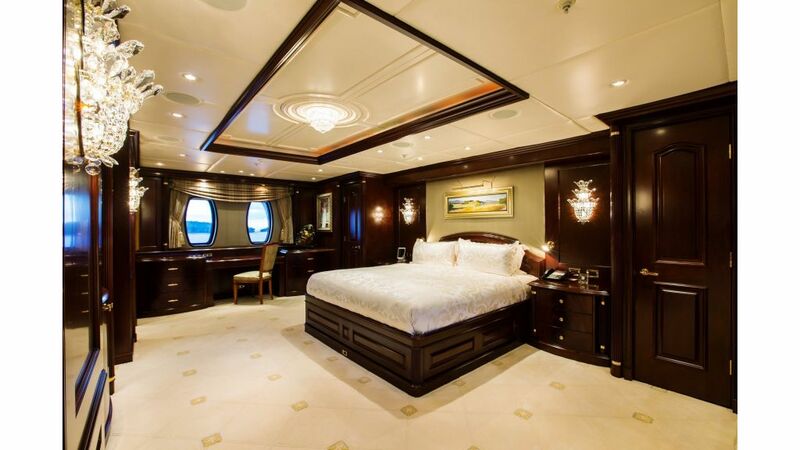 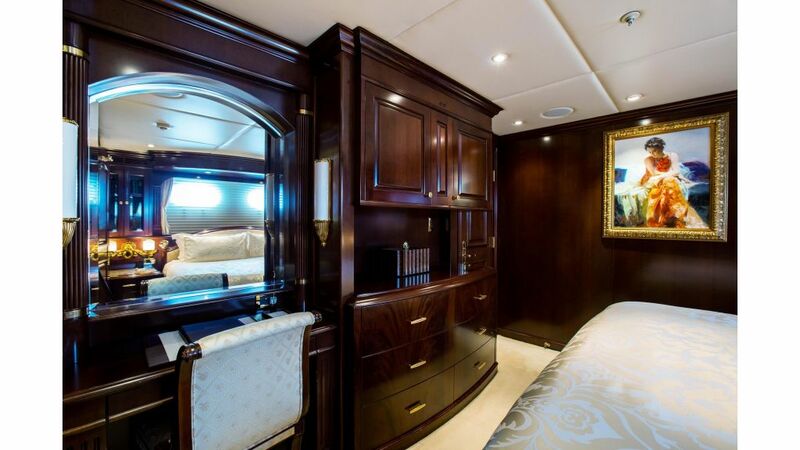 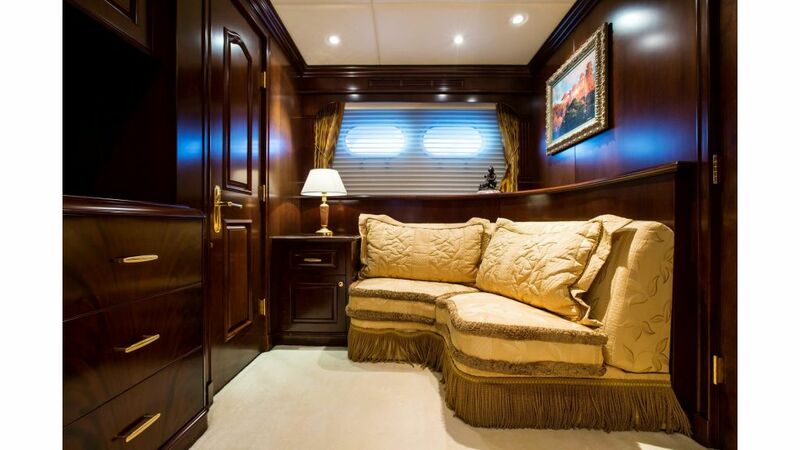 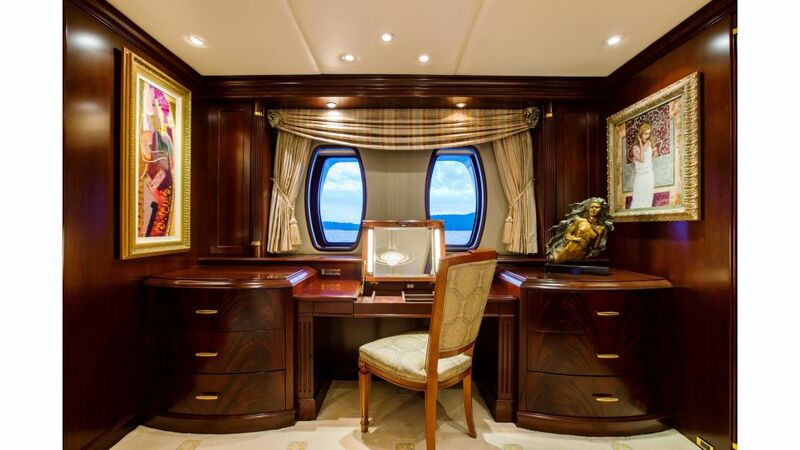 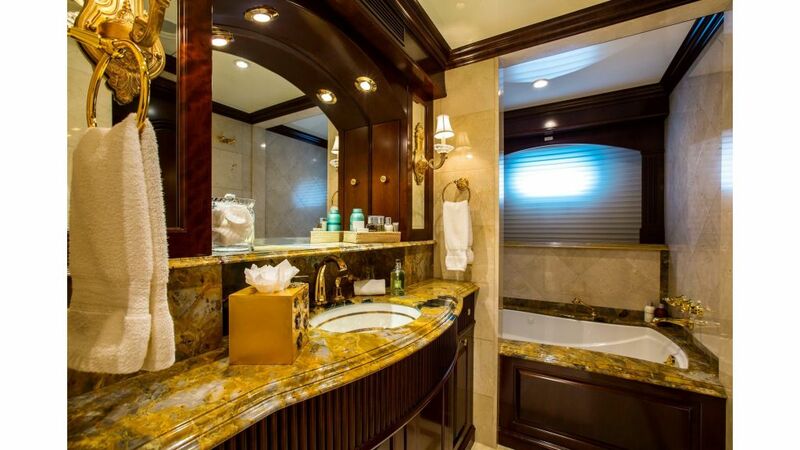 illuminated yet cosy, it offers guests a dressing room, his and hers en suite bathroom and private office. 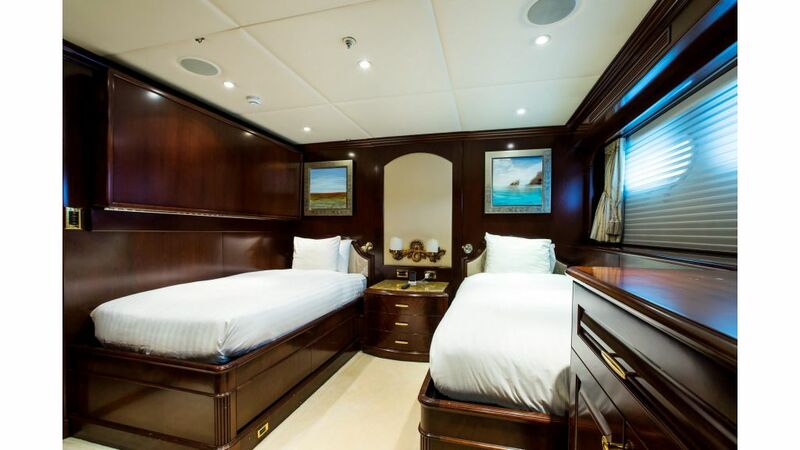 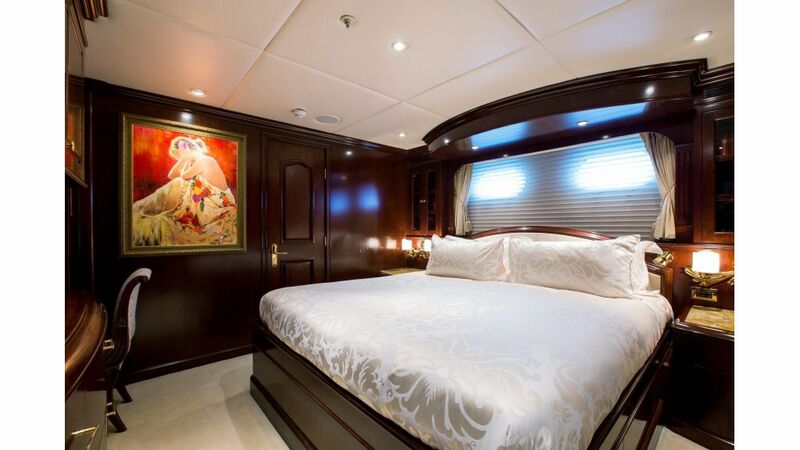 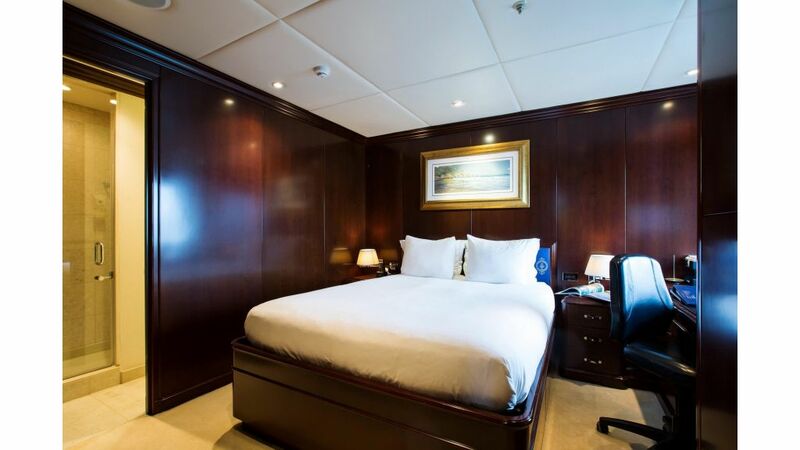 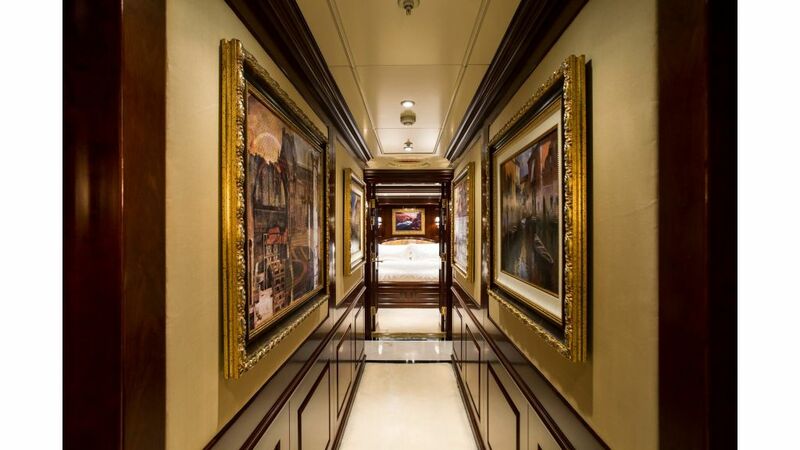 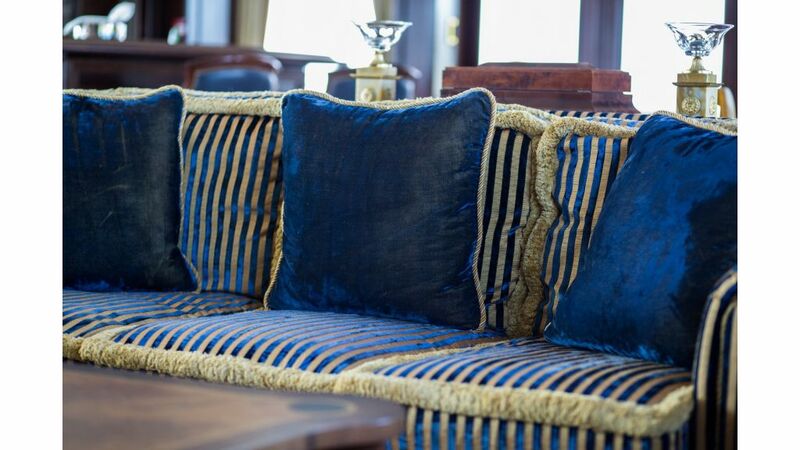 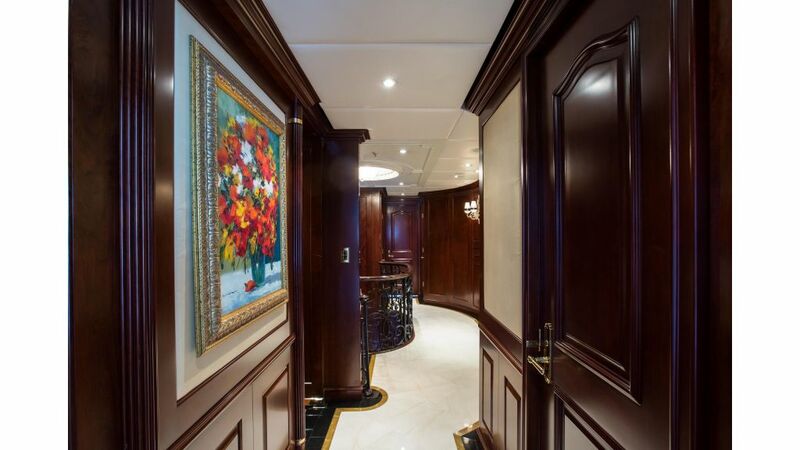 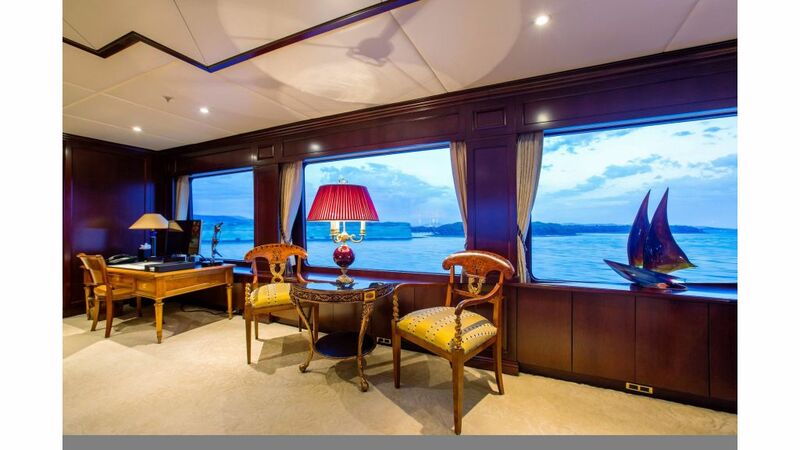 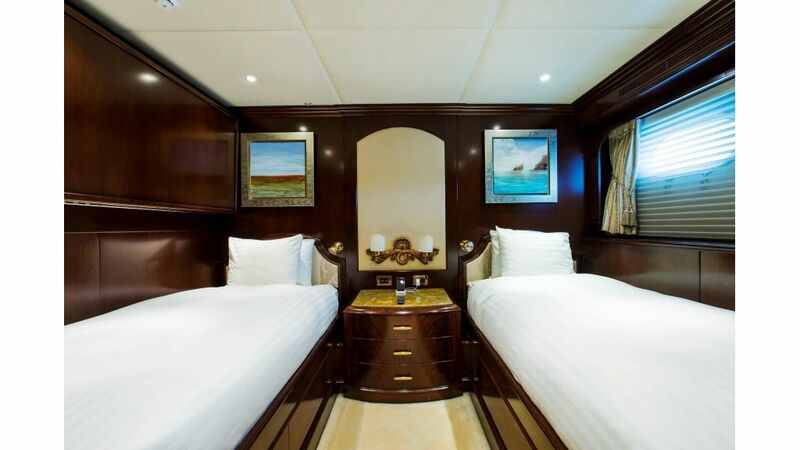 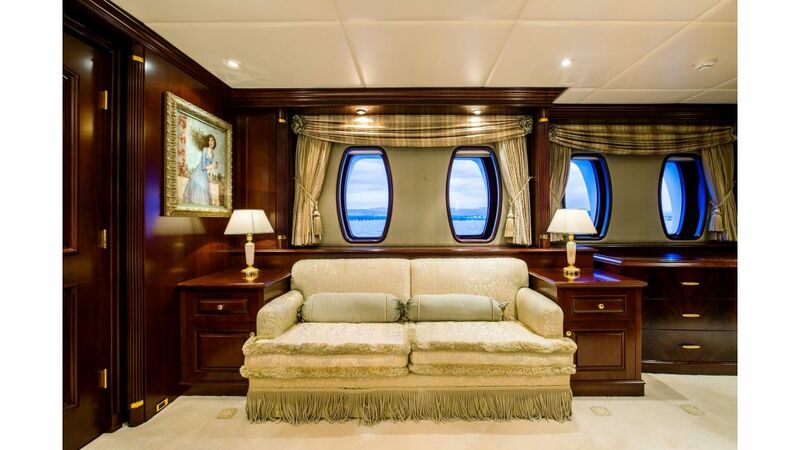 Guest accommodation grants four sophisticated king-sized cabins and an attractive twin cabin.